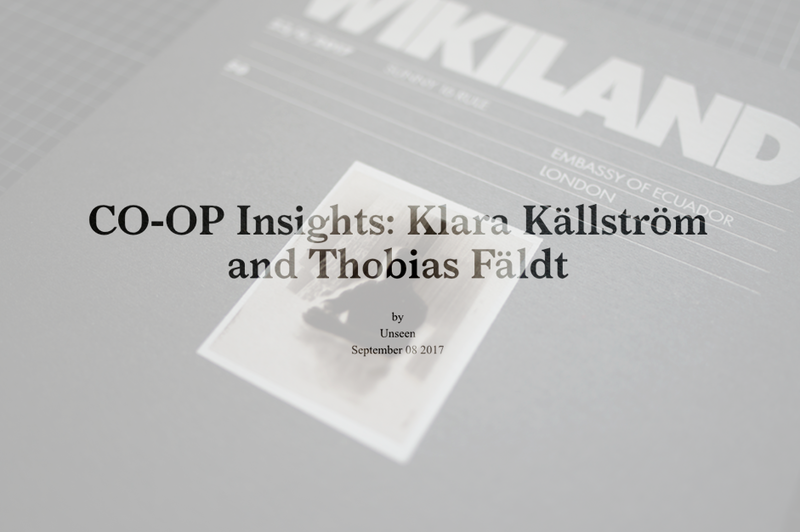 Klara and Thobias give a lecture and individual tutorials at the Royal Institute of Art, Stockholm. 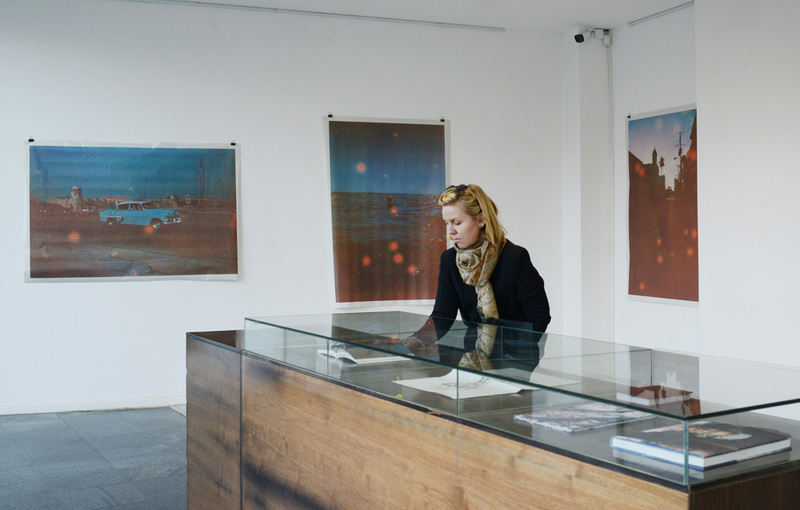 © Marcus Palmqvist, Lotta Webb, B-B-B Books, Peter Hoelstad, Birgitta Forsell. 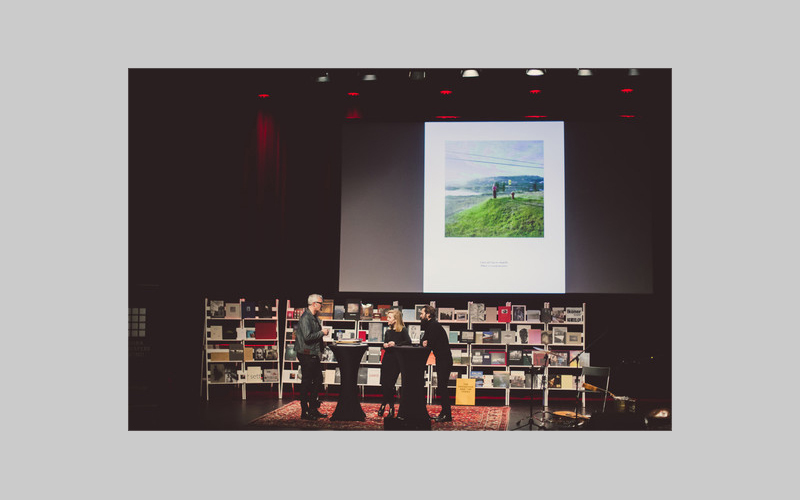 Klara in the 2019 Swedish Photo Book Award jury. 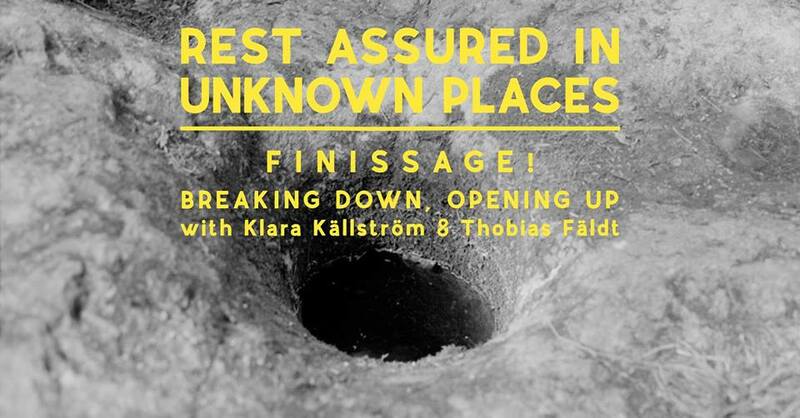 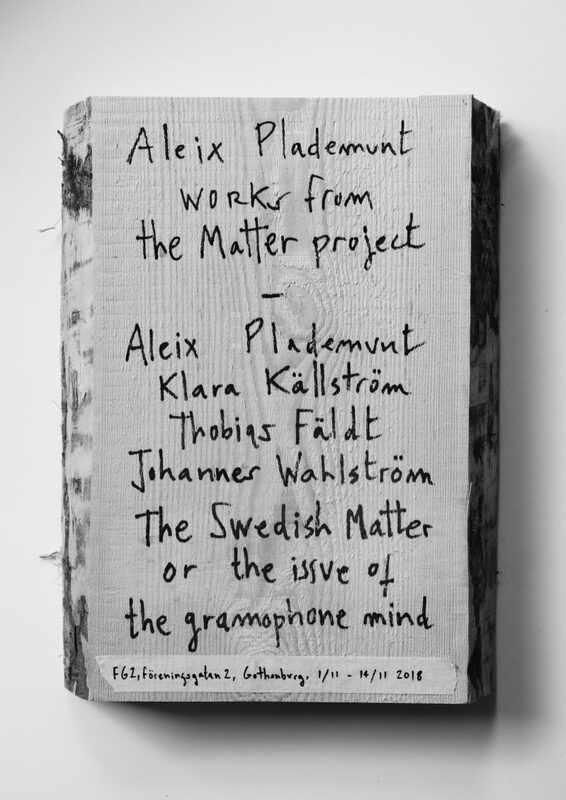 Klara Källström and Thobias Fäldt, the prolific artist duo actively involved in the contemporary photo scene, will be discussing the works presented in Rest Assured in Unknown Places, an exhibition by the students of the MA in photography programme at Valand Academy. 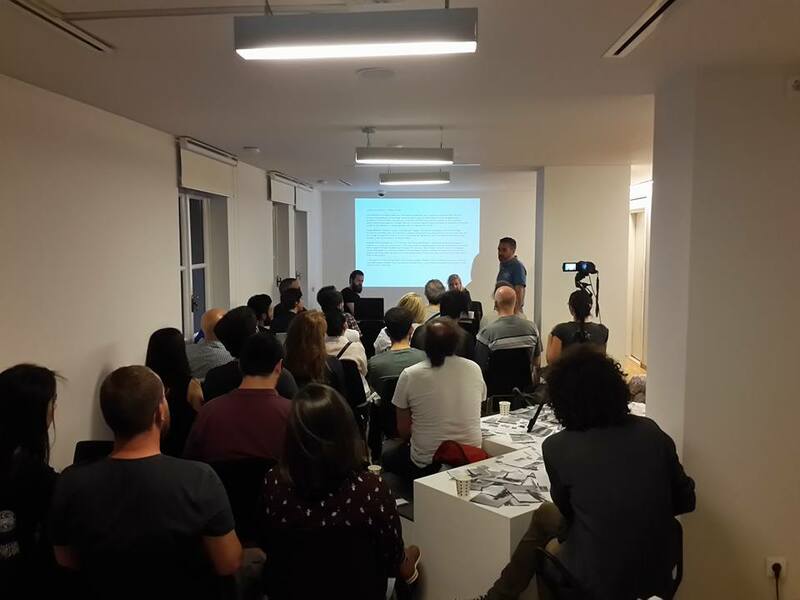 After the talk, instead of a discussion with “everybody talking at the same time”, let us hear one strong voice on its own. 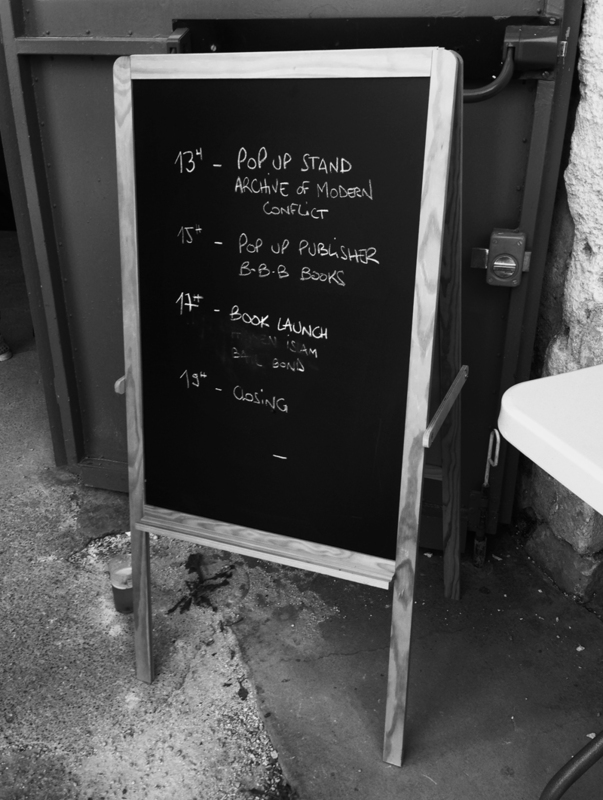 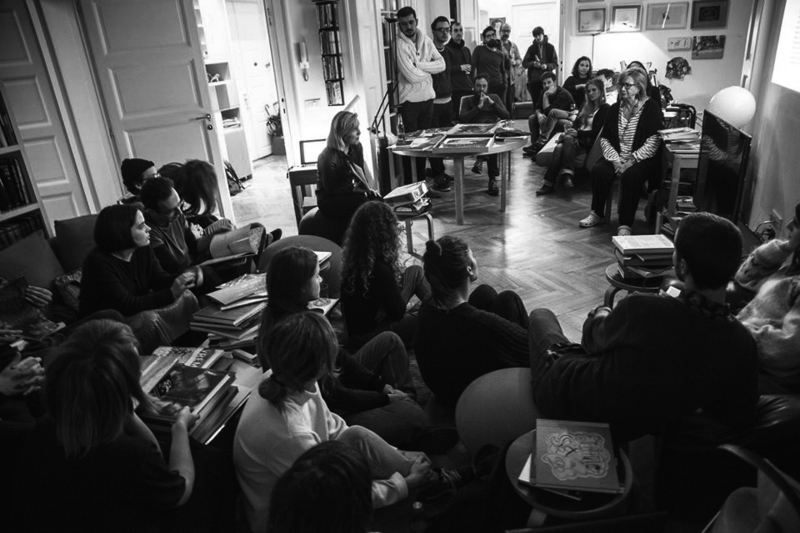 And rather than opening up for questions from the public, meet the artists individually in a speed dating format where we will have the opportunity to get to know each other better. 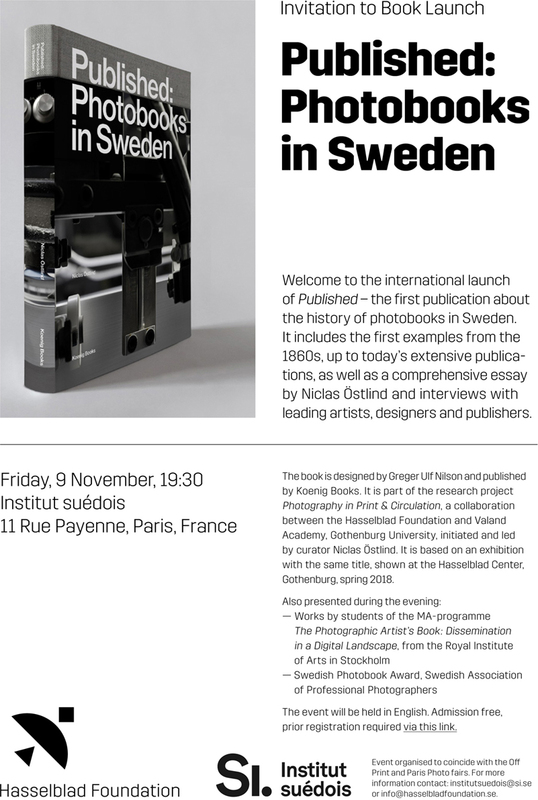 Thursday, November 8th, at 7 pm at Institut finlandais / Paris. 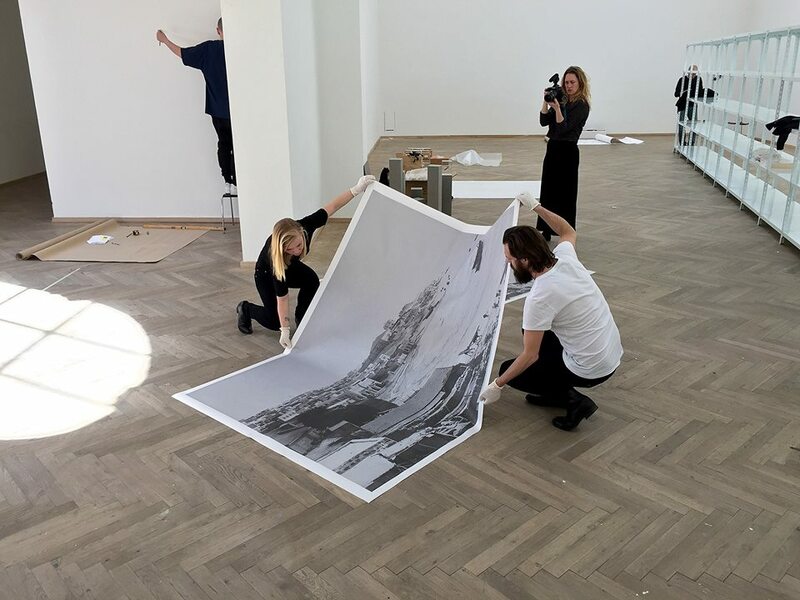 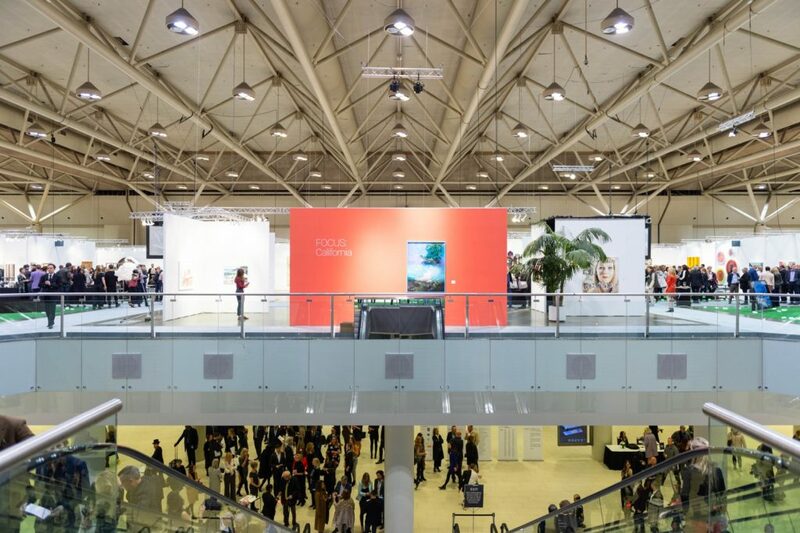 Klara and Thobias are part of FOCUS: California together with CULT | Aimee Friberg Exhibitions (San Francisco) at Art Toronto 2018. 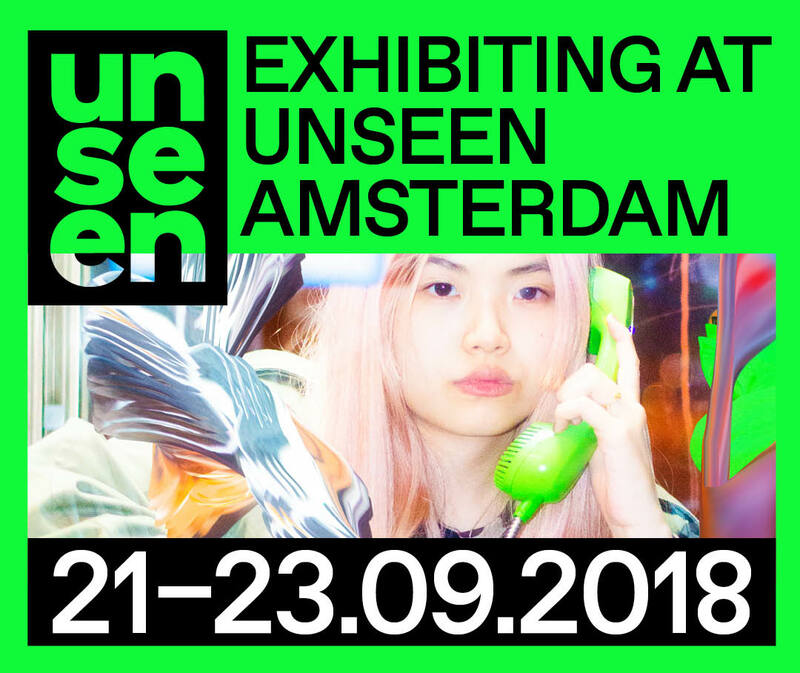 Klara Källström & Thobias Fäldt, Discipula, Alessandro Sambini and The Cool Couple exhibit with MLZartdep during UNSEEN Photo Fair 2018. 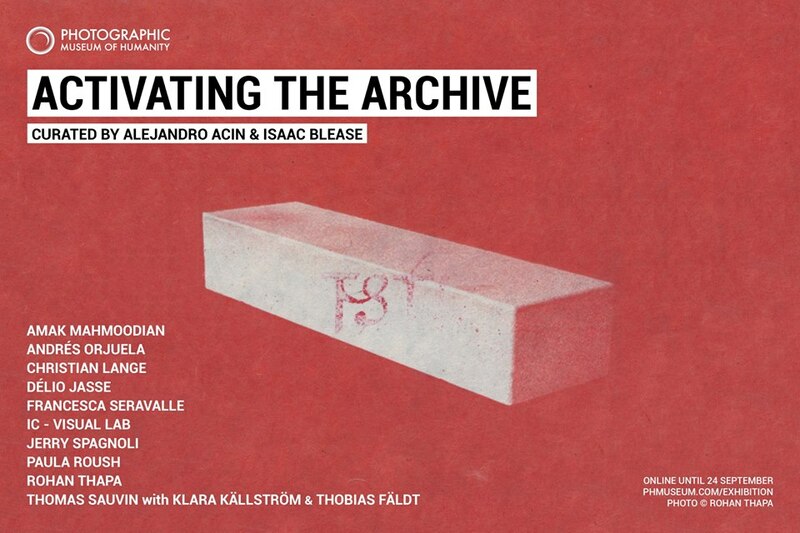 This online exhibition is part of the current IC Visual Lab programme Activating the Archive, which has included a symposium, workshops, talks, and an upcoming artistic commission. 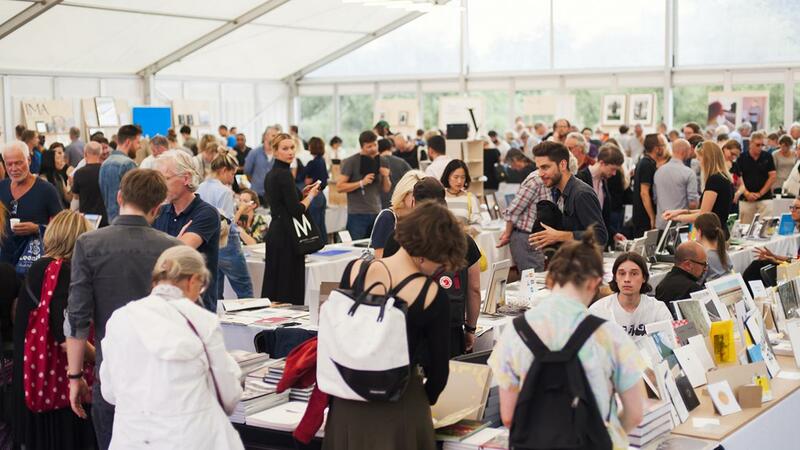 These events have been ongoing over an eight-month period and are supported by the Arts Council of England. 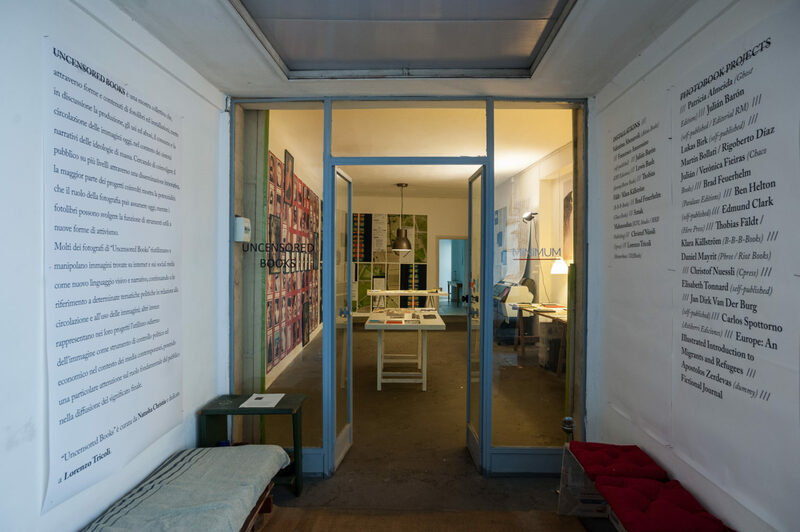 Artist-in-Residence at AiR Trieste. 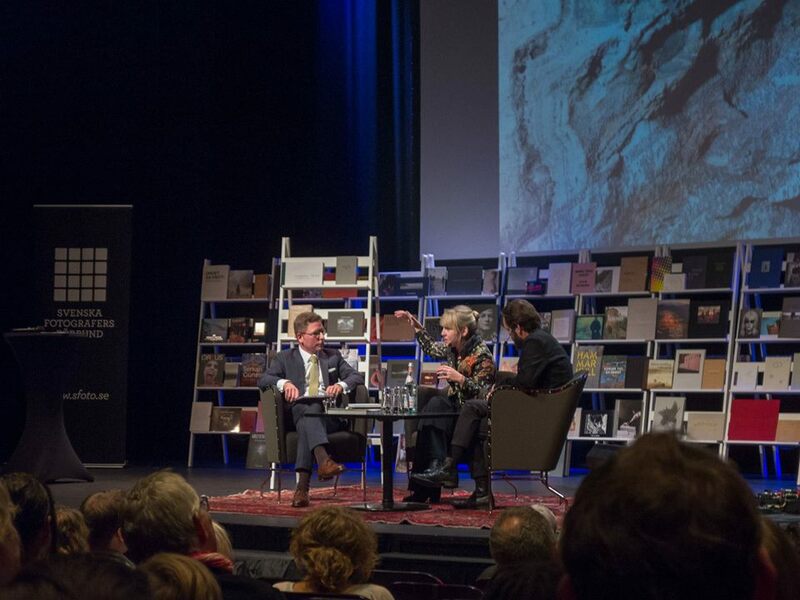 Granted thorough Iaspis in Sweden. 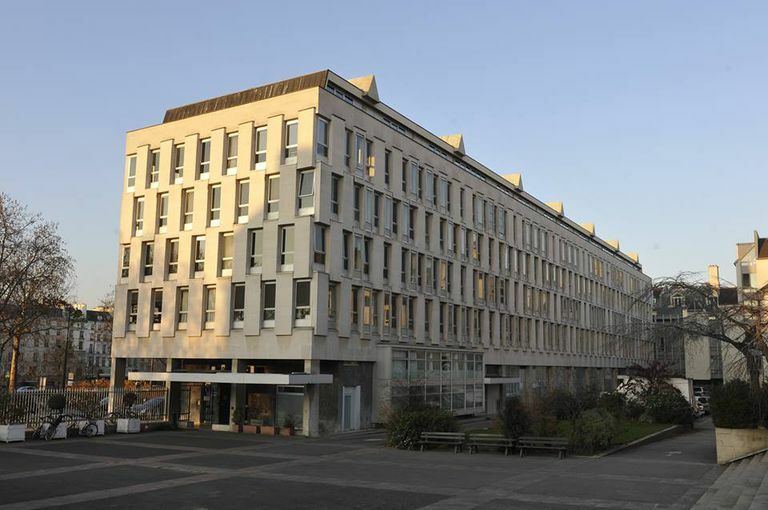 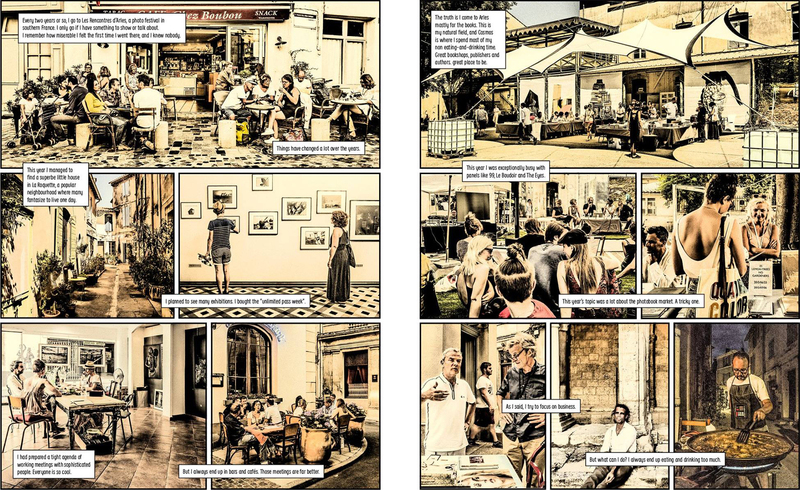 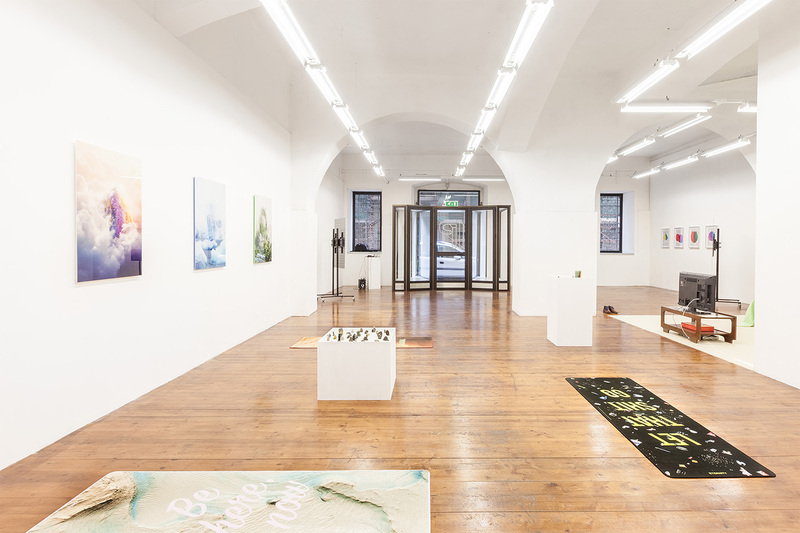 AiR Trieste is an artist-in-residence program that aims at offering visual artists the opportunity to spend an amount of time in Trieste to develop projects relevant to the context or carry out research that may employ, and add value to, local resources. 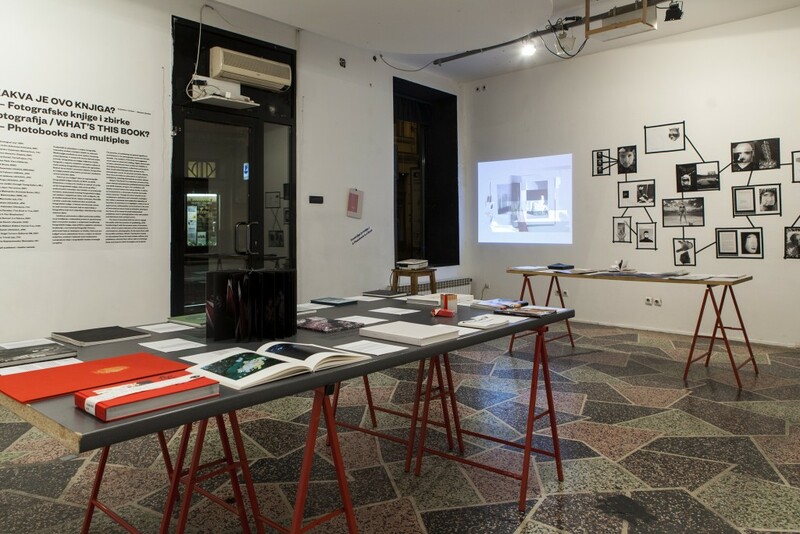 AiR Trieste considers the network as instrument for research and growth and the artists as agents of cultural cross-contamination. 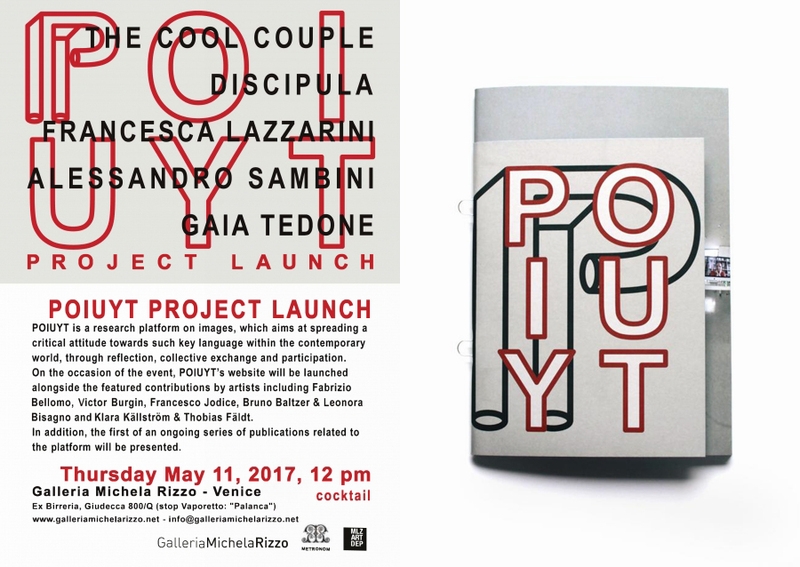 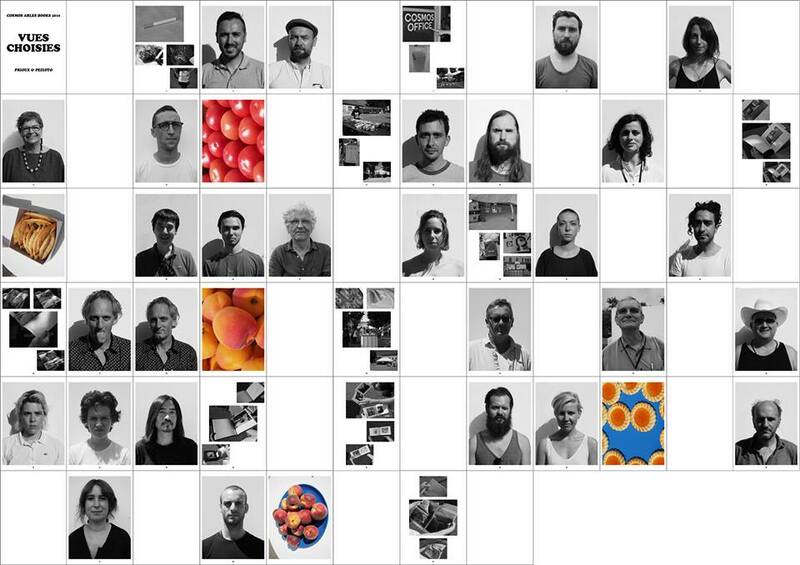 The project is curated by Francesca Lazzarini in collaboration with MLZ Art Dep and Cultural Inventory. 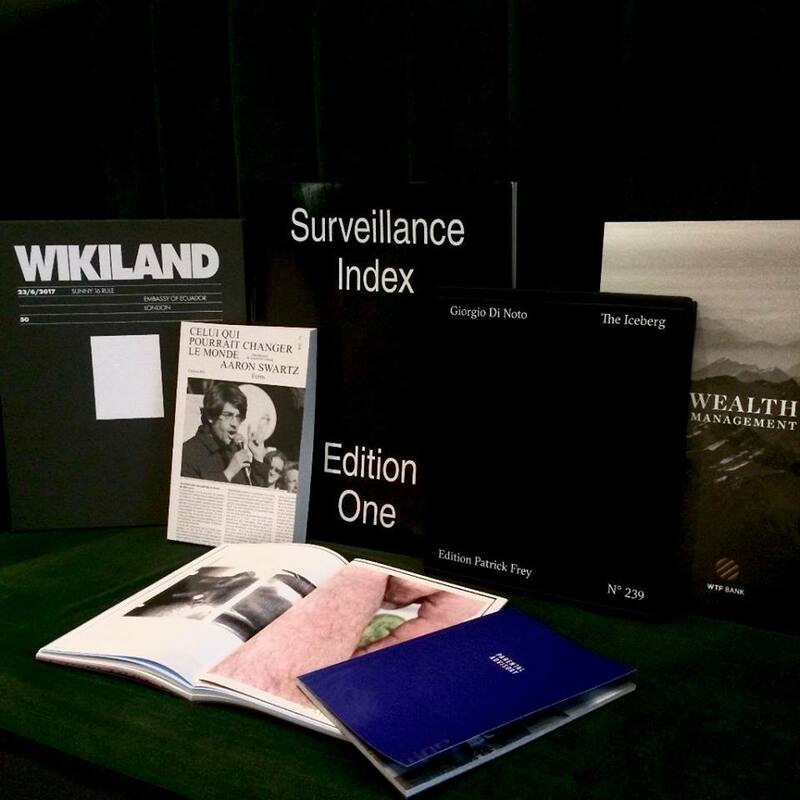 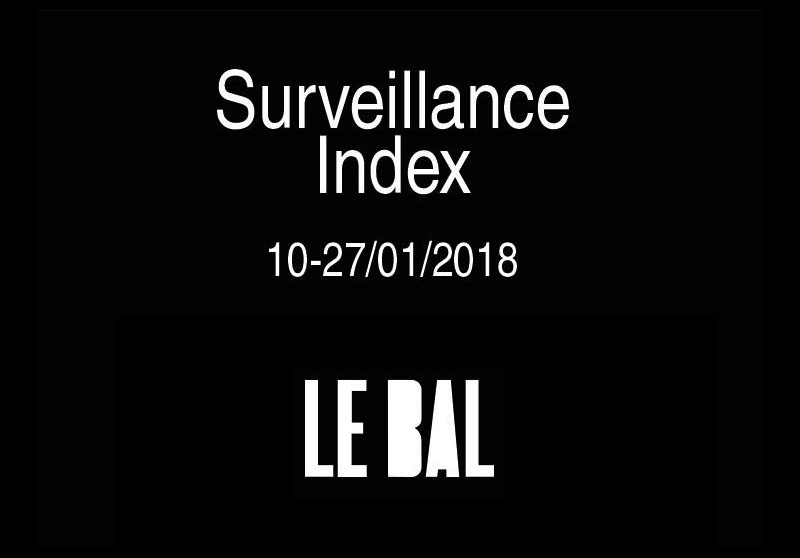 The Wikiland Project at the Surveilance Index Ehibition Compiled by Mark Ghuneim. 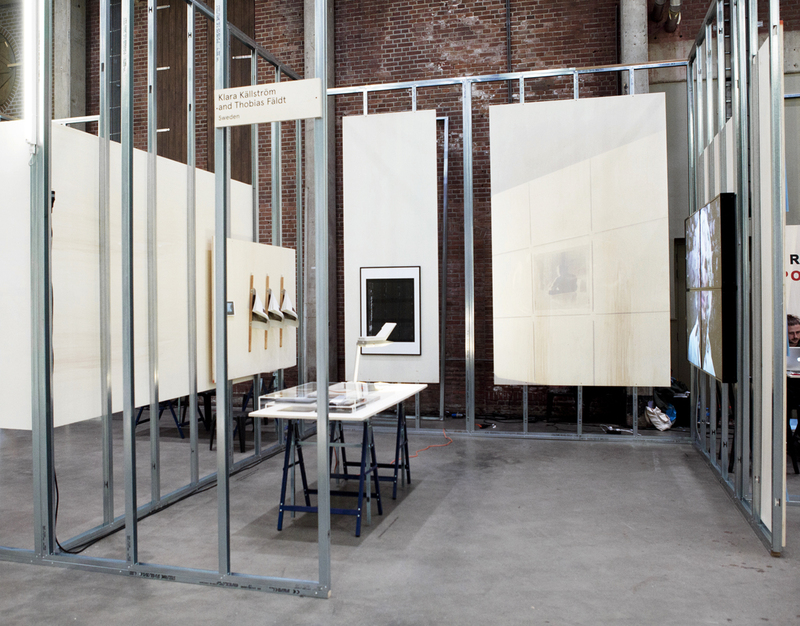 Klara Källström and Thobias Fäldt are part of Unseen Amsterdam 2017 and the inaugural edition of CO-OP, a space exclusively dedicated to cutting edge to artist collectives and artist-run initiatives, selected by the independent curator Lars Willumeit and Unseen Artistic Director Emilia van Lynden. 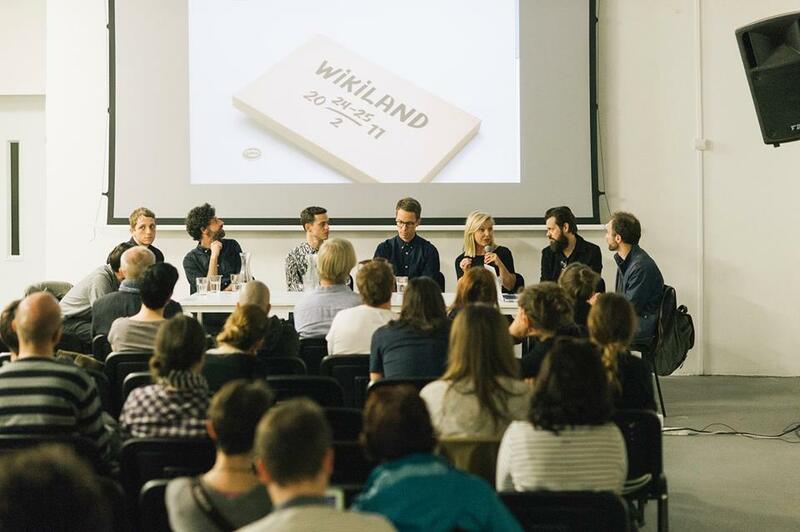 For the first time, they will present the third part of the Wikiland project, a work that started in 2011. 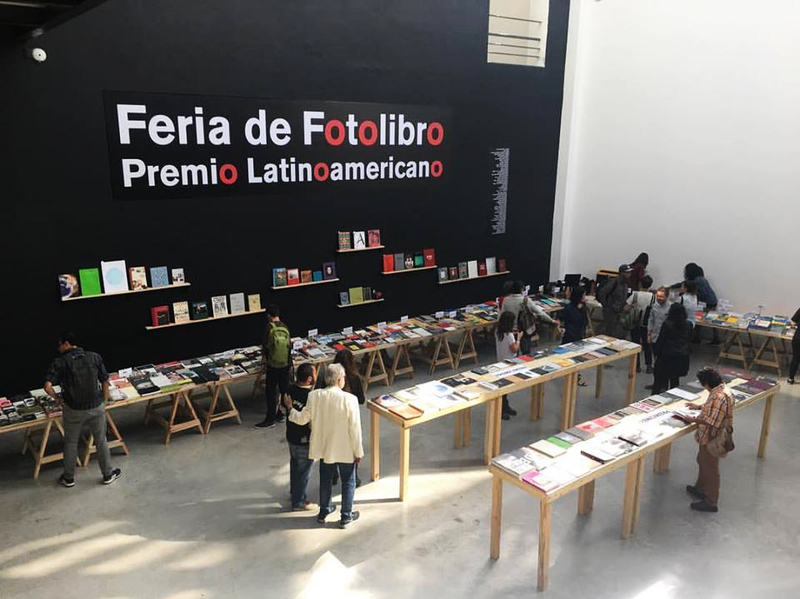 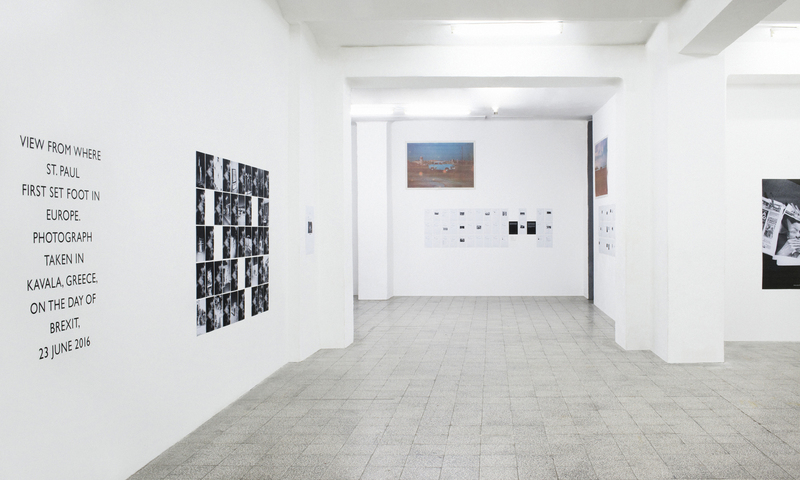 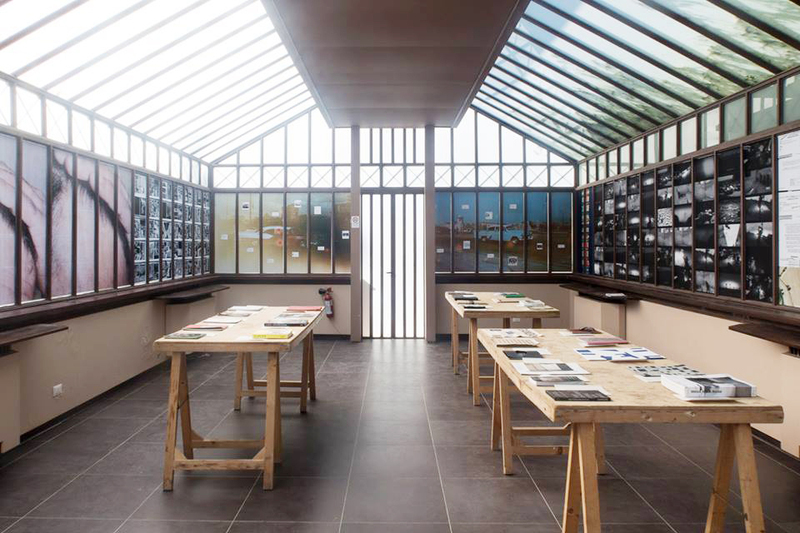 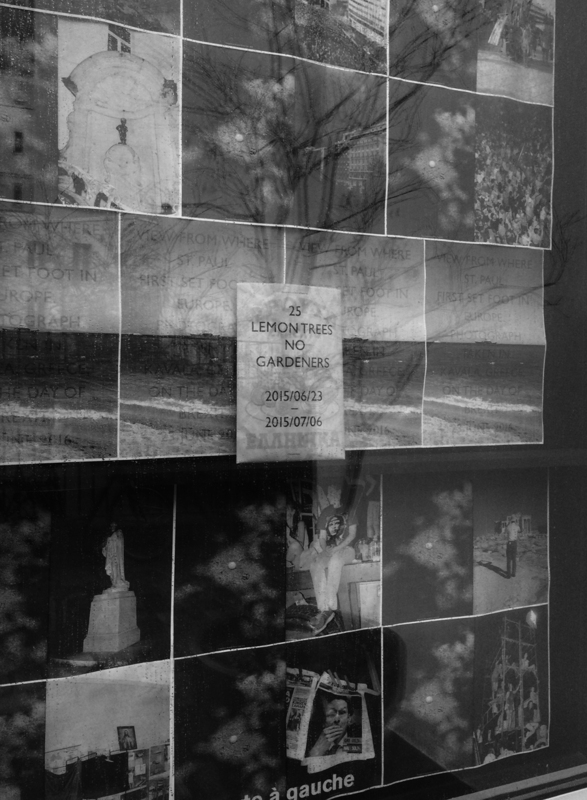 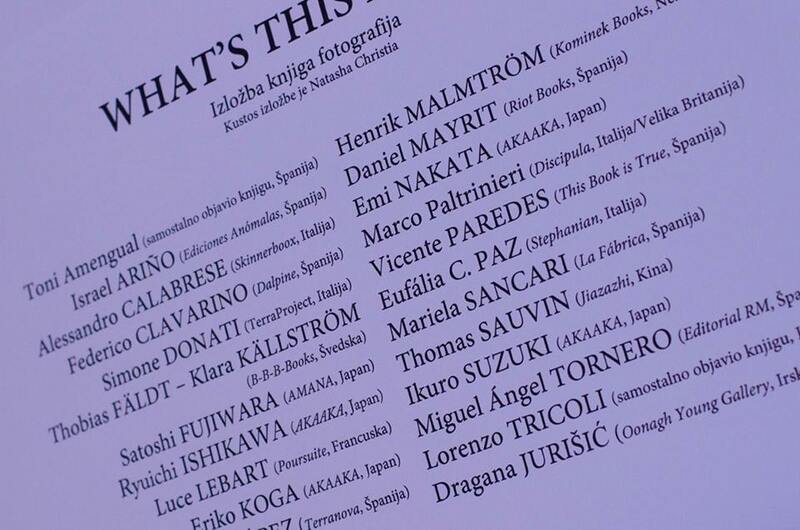 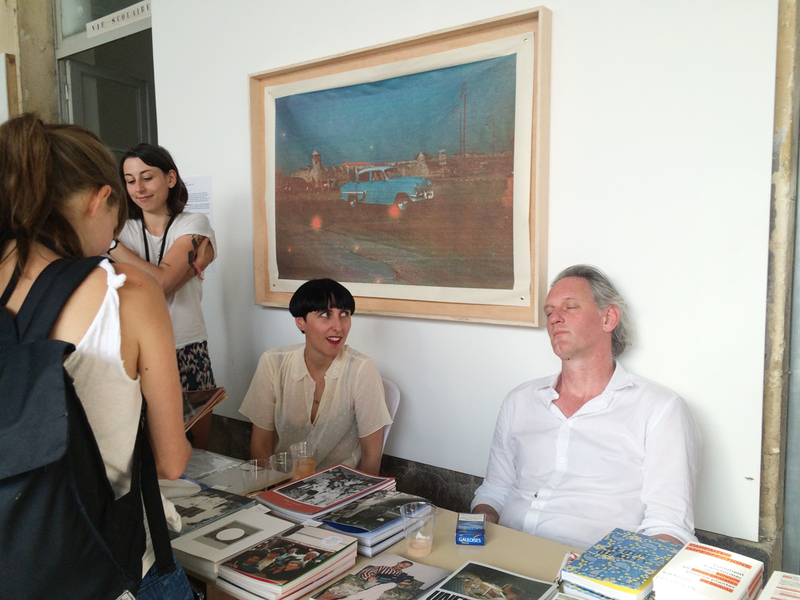 Klara and Thobias are part of Feria De Fotolibro at Foto Museo Cuatro Caminos in Mexico City. 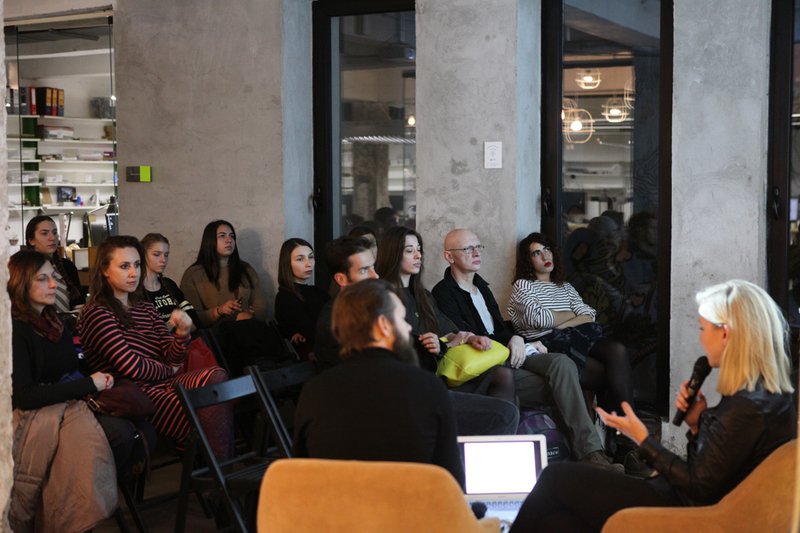 Presentation: Is this Real Life? 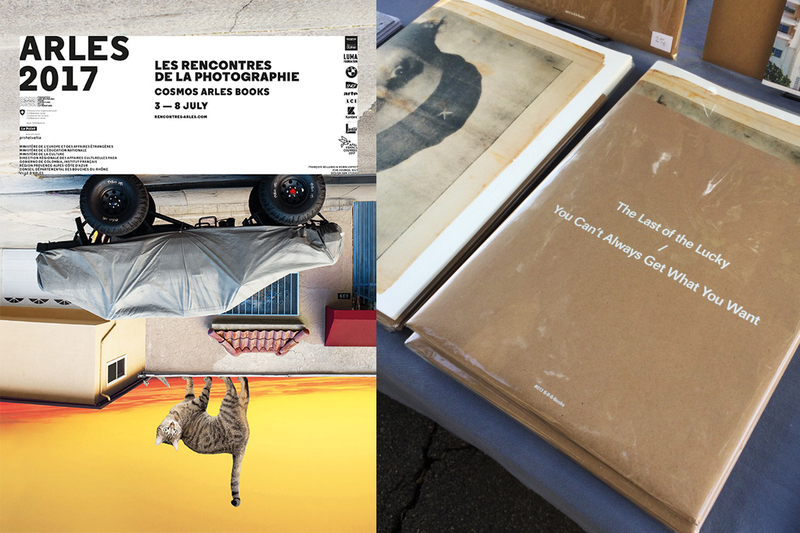 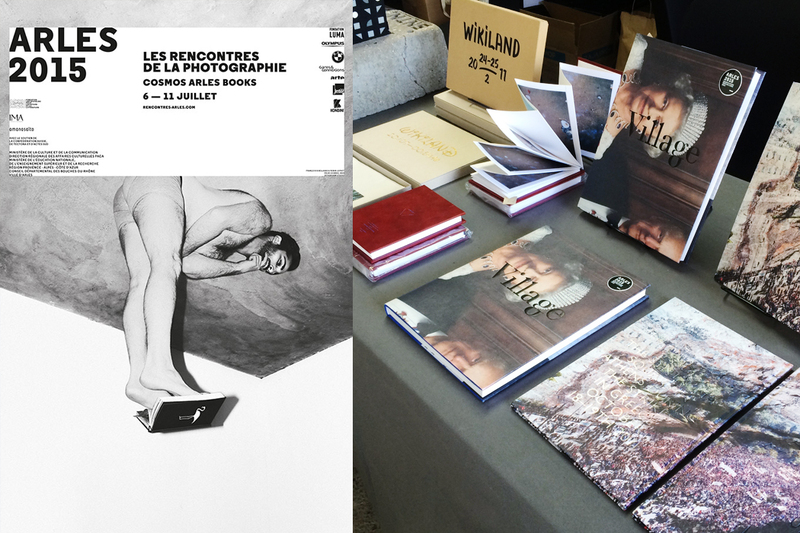 Arles 2017 by Carlos Spottorno – avec Pierre Bessard, Lars Willumeit, Sebastian Arthur Hau, Rémi Coignet, Klara Källström, Eduardo Nave et Thobias Fäldt. 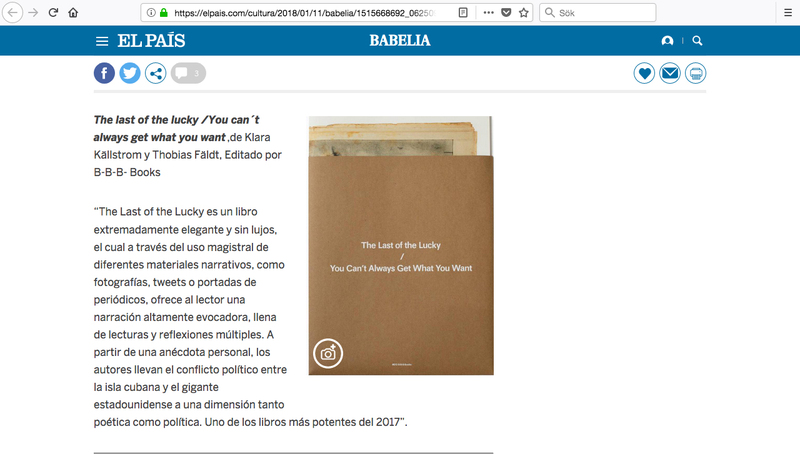 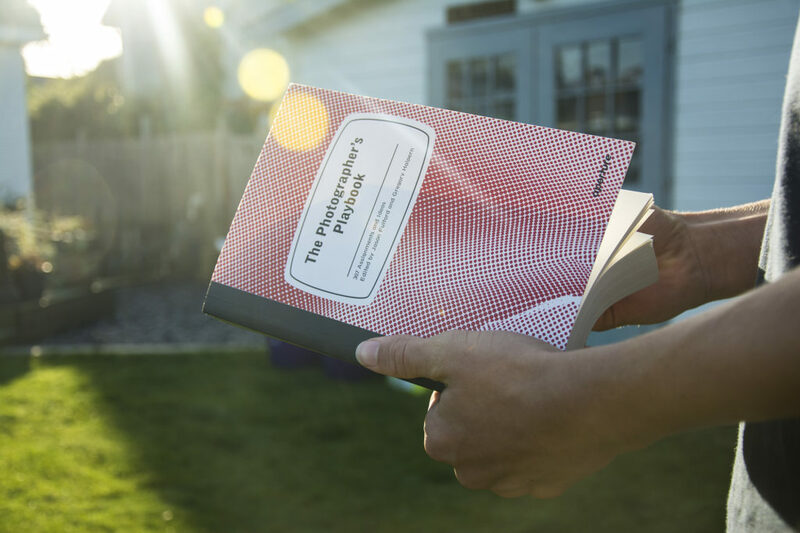 The Last of the Lucky / You Can’t Always Get What You Want is shortlisted for Arles Book Award 2017. 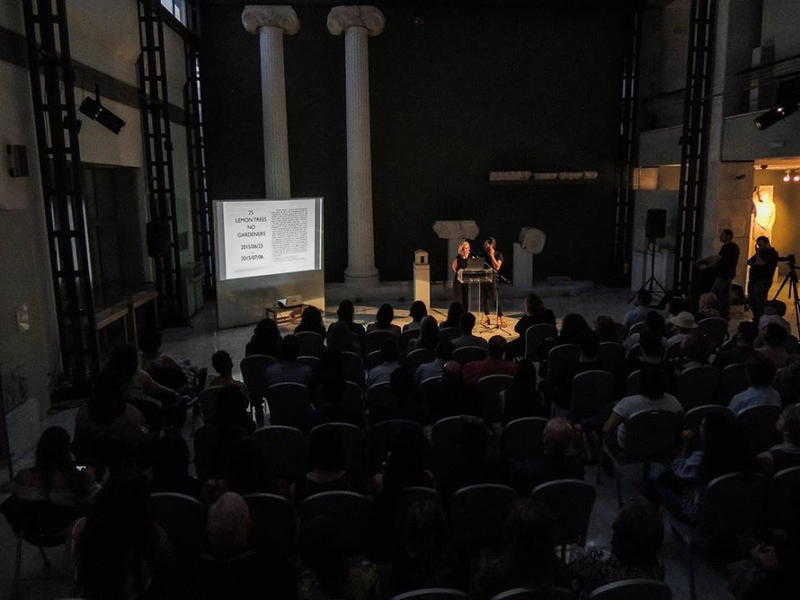 The Lucy Art Residency Public Talks that took place at the Archeological Museum of Kavala on the 17th of June. 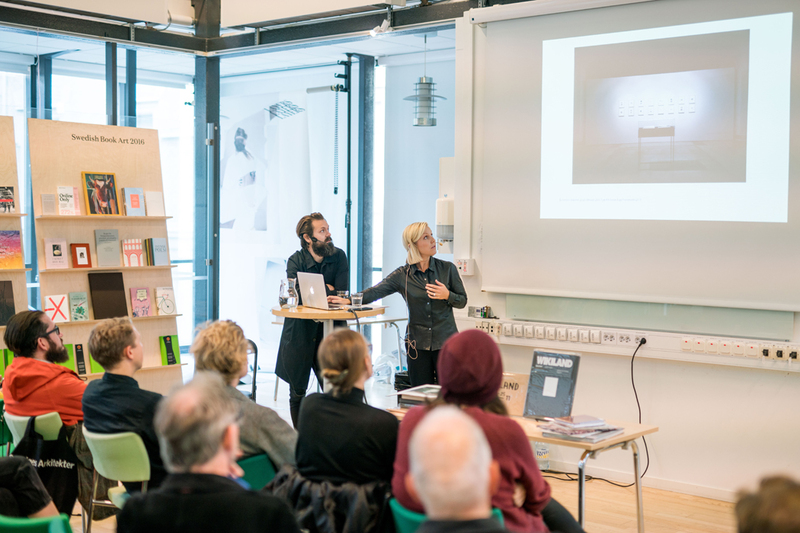 Speakers include the artists Sylvain Couzinet Jacques, Klara Källström and Thobias Fäldt, Curator at FOAM Museum Kim Knoppers and Curator at TATE Shoair Mavlian. 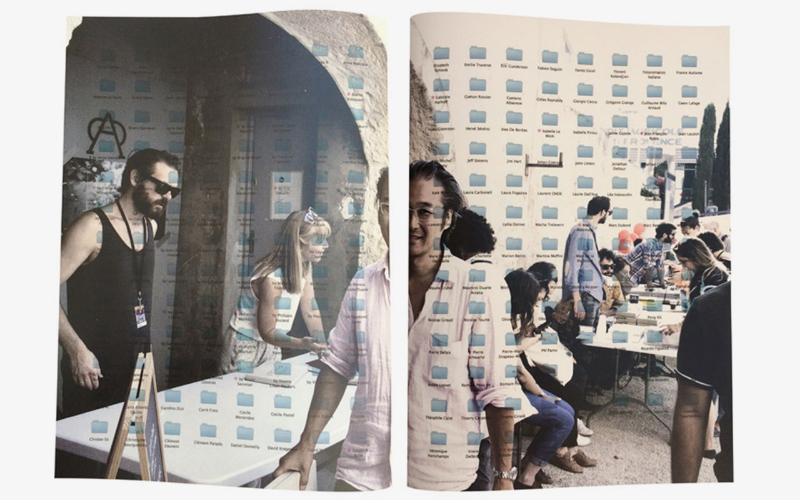 Artist-in-Residence at The Lucy Art Residency in Kavala. 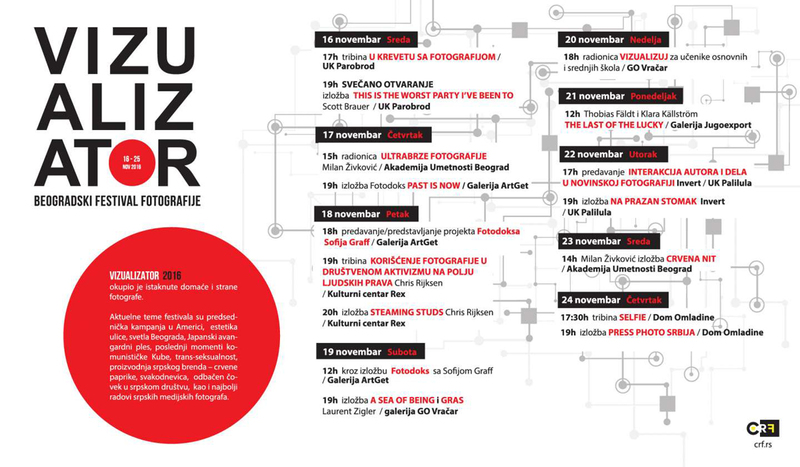 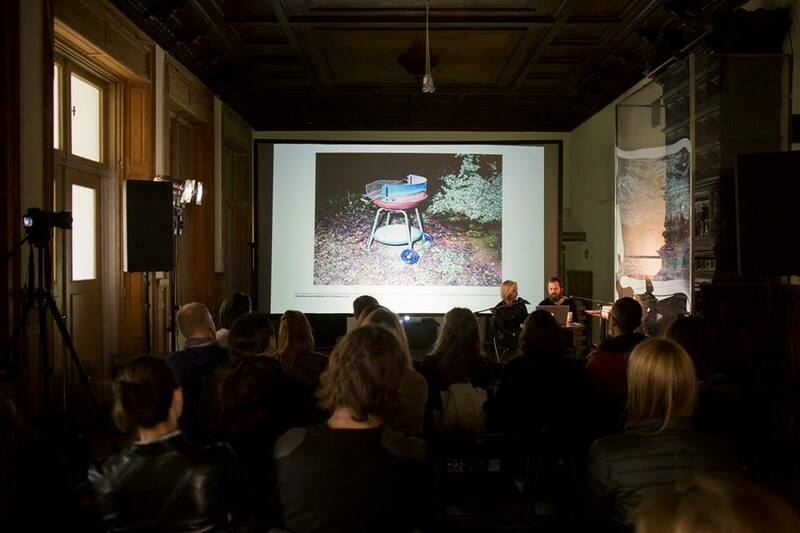 Artist-Talk ”Photography as a practice to re-imagine the world” at Self Publish Riga at K.K. 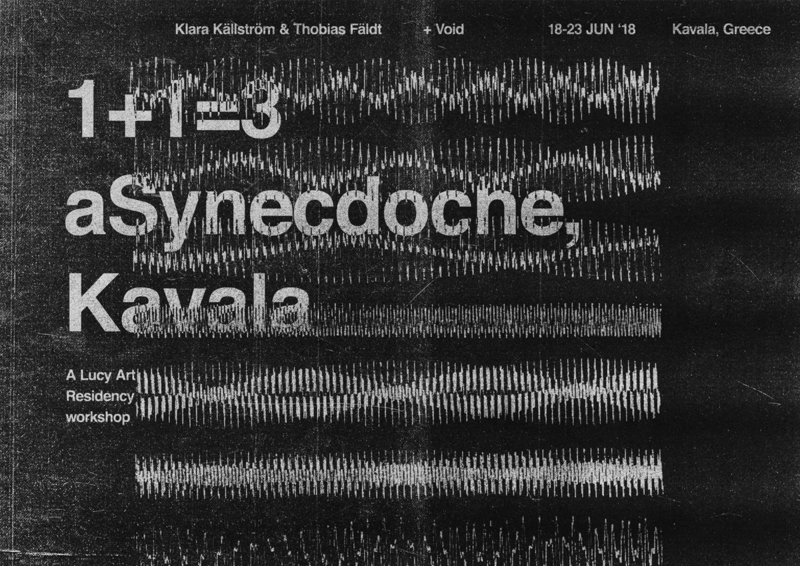 fon Stricka villa . 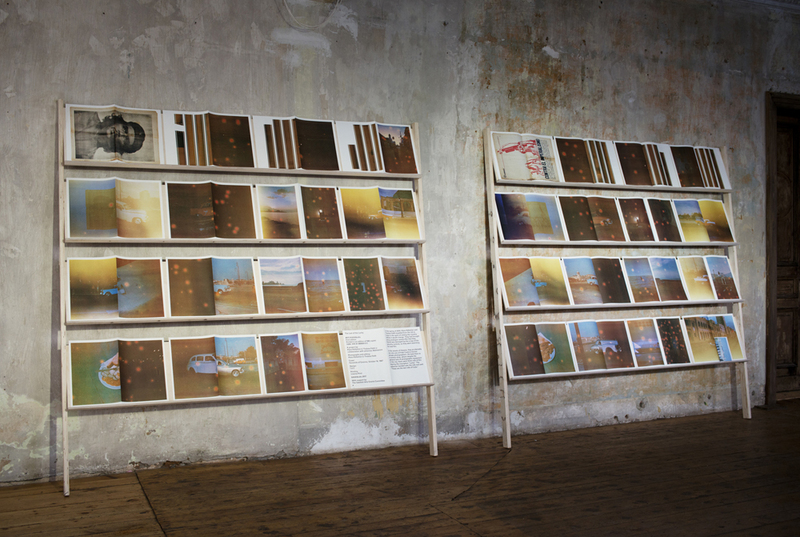 An installation The Last of The Lucky/ You Can’t Always Get What You Want by Swedish artists Klara Källström and Thobias Fäldt; an extensive exhibition featuring several photobook collections, including Facts and Clarifications and Latvian photobooks and photobook dummies curated by Evita Goze (ISSP, Latvia), books from the Balkans curated by Marina Paulenka (Organ Vida, Croatia), a collection of books by Sputnik Photos (Poland) and works by Klara Källström and Thobias Fäldt (B-B-B-Books, Sweden). 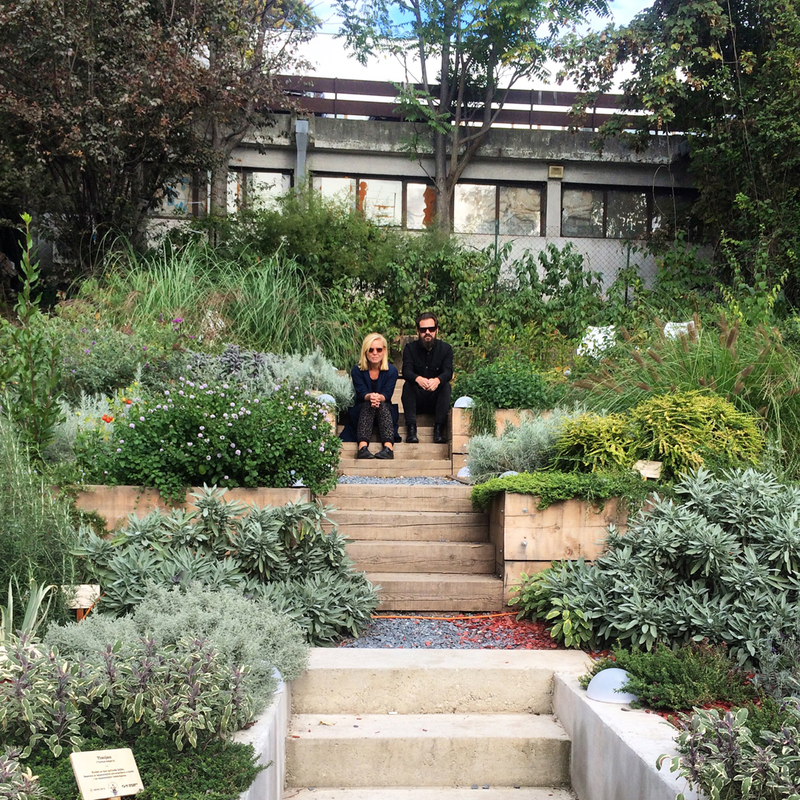 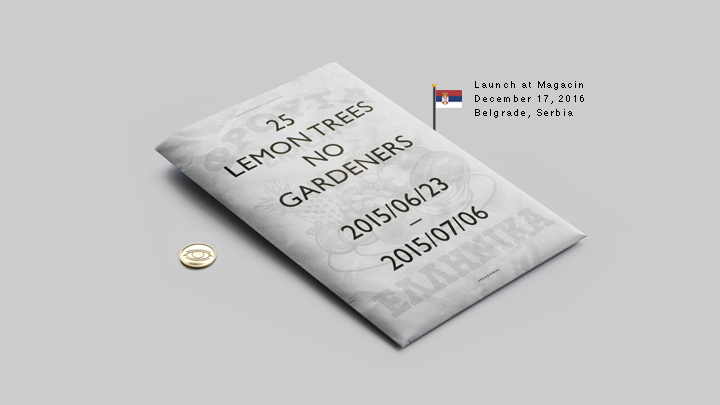 The exhibition 45 Gardeners And So On by Klara Källström and Thobias Fäldt in collaboration with Johannes Wahlström will be open on Saturday December 17th at 19h in the cultural center Magacin u Kraljevića Marka in Belgrade. 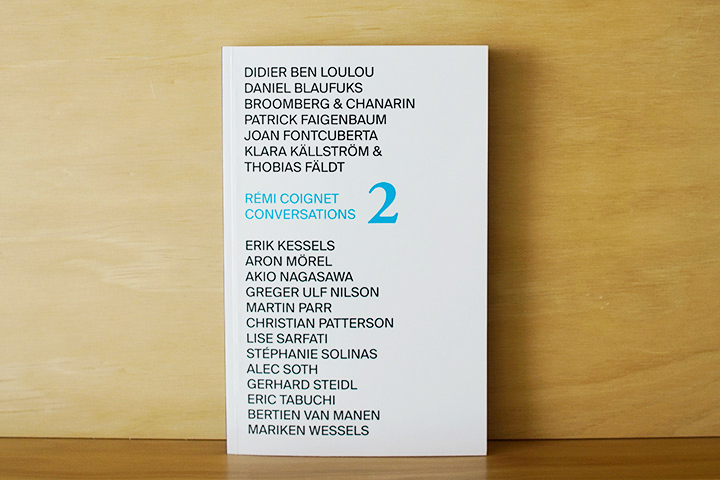 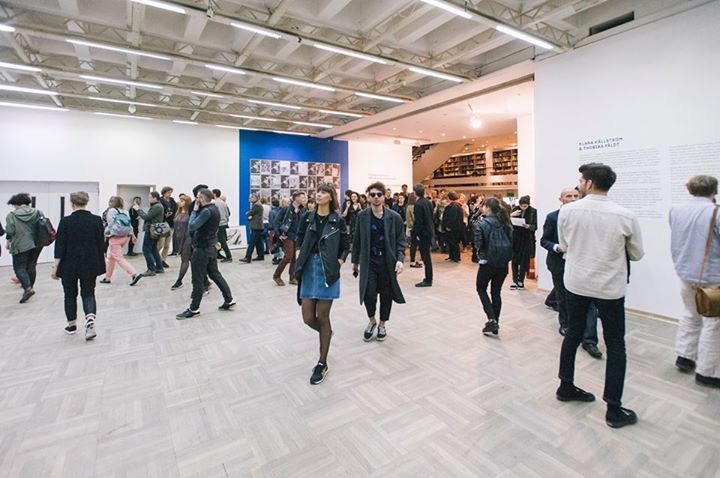 A set of nearly 15 new talks between Rémi Coignet and major players in contemporary photography : Erik Kessels, Gerhard Steidl, Martin Parr, Stéphanie Solinas, Joan Fontcuberta, Patrick Faigenbaum, Aron Mörel, Akio Nagasawa, Greger Ulf Nilson, Christian Patterson, Lise Sarfati, Alec Soth, Eric Tabuchi, Bertien van Manen, Mariken Wessels, Daniel Blaufuks, Pieter Hugo, Klara Källström & Thobias Fäldt. 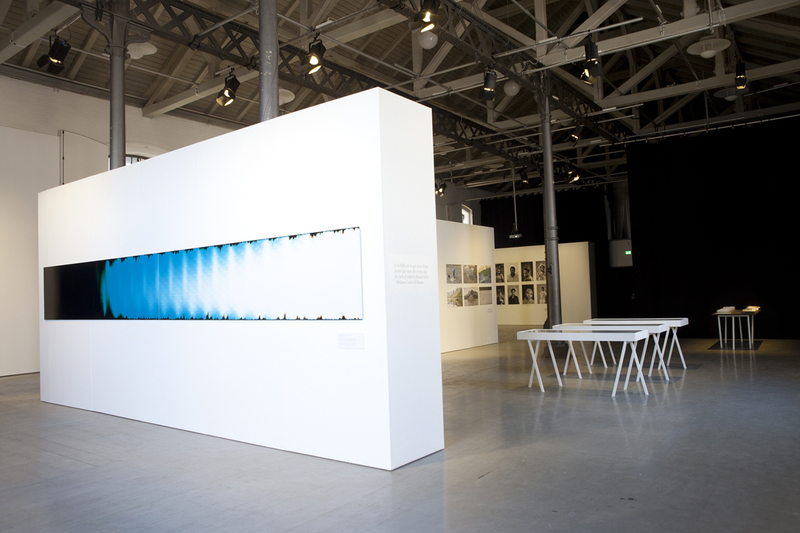 Wikiland 2007-07-12 – 00:59:46 is part of the exhibition Bending the Frame based on Fred Ritchin’s book with the same title. 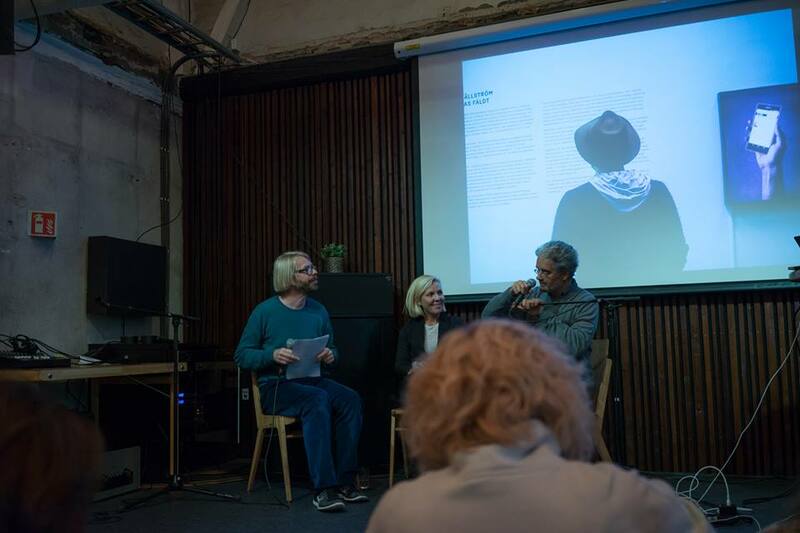 Bending the Frame and in cooperation with him and the Danish photographer Tina Enghoff, Fotografisk Center has curated an exhibition that focuses on current global issues such as war, migration, racism, climate change etc. 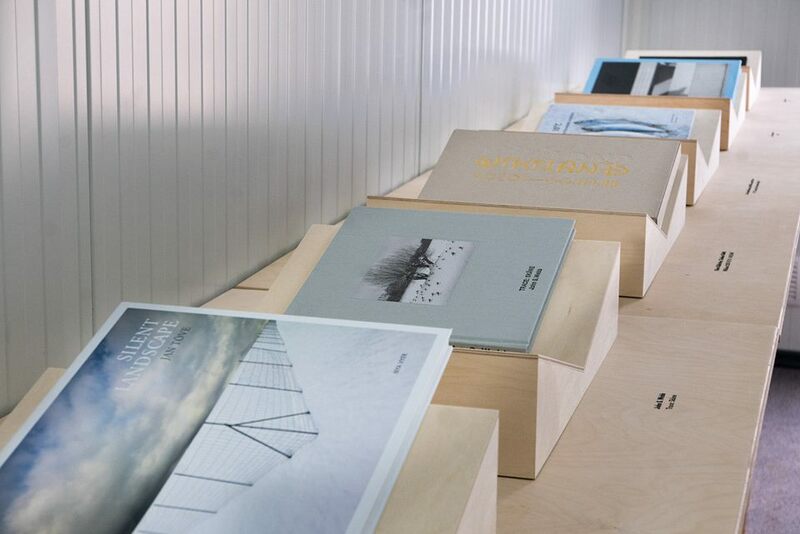 In Bending the Frame we show photography, video, film, books, and internet-based projects of international and Nordic photographers and visual artists. 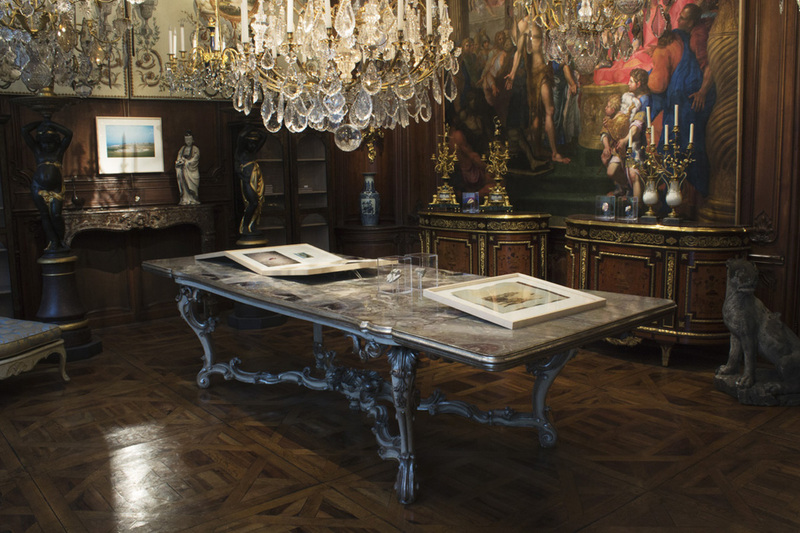 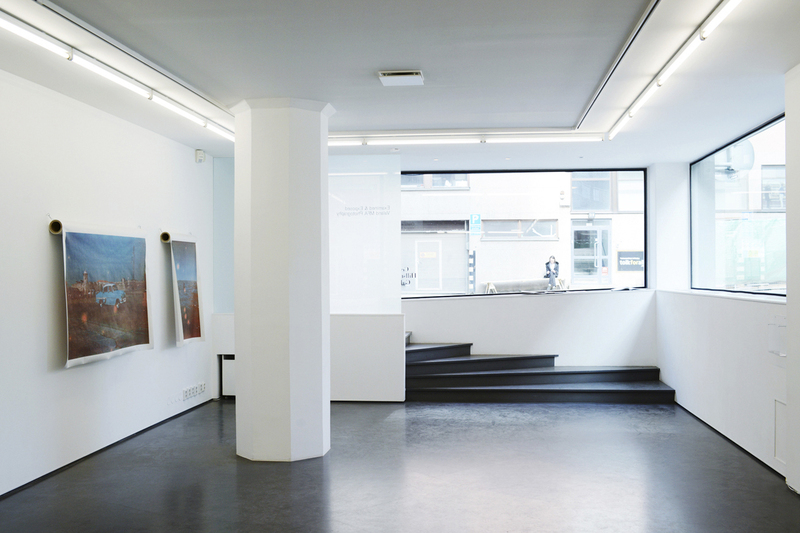 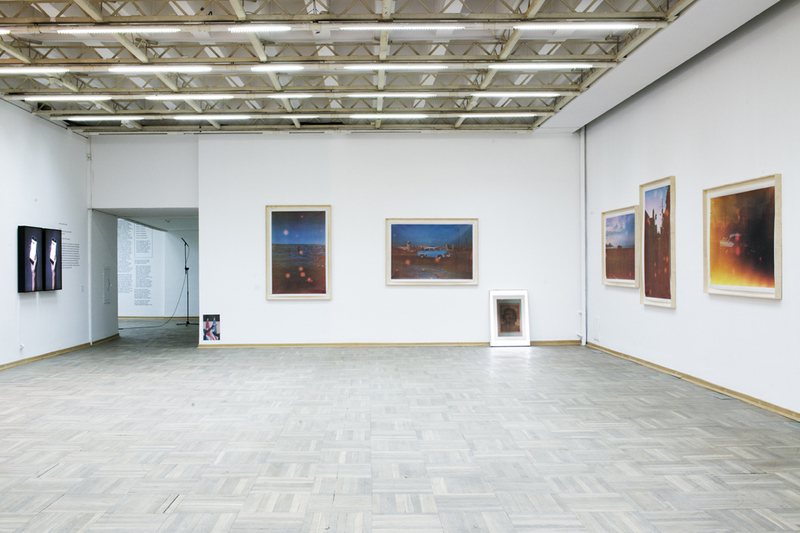 The exhibition includes both older and new works. 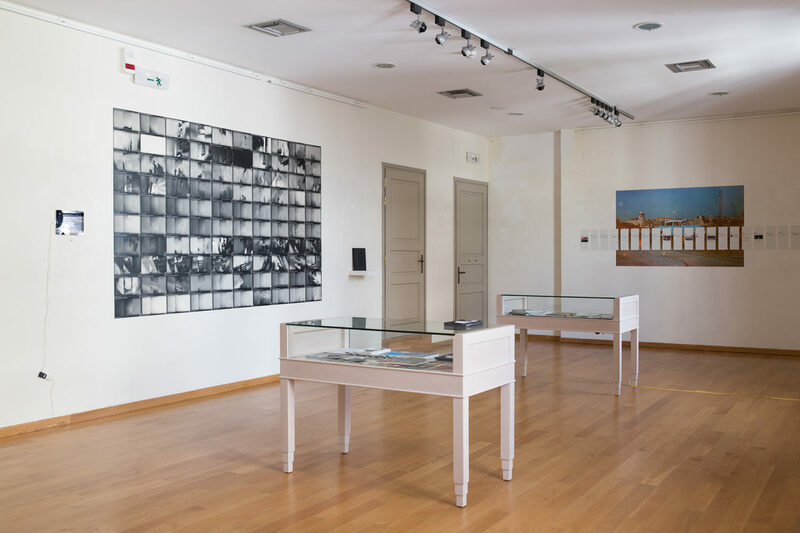 The idea is to present strategies within visual art, documentary and journalistic photography, which convey other stories than the ones we often meet in conventional news media. 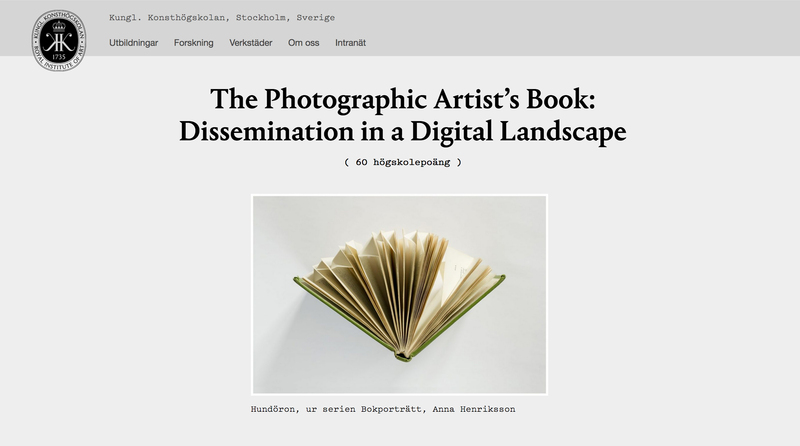 Runs between August 27th – October 23rd at Fotografisk Center in Copenhagen as part of Denmark’s international Photo Biennale. 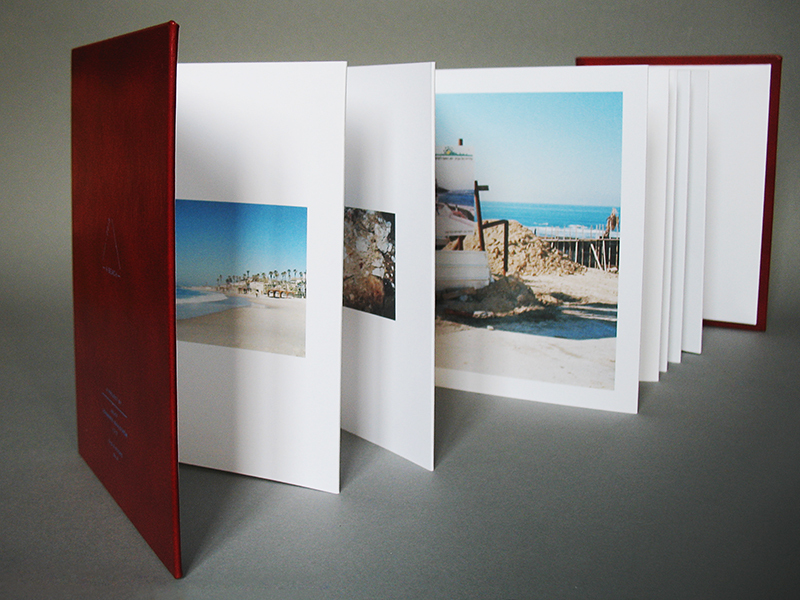 ”Vues Choisies”, Cosmos Arles Books 2016, Prioux & Peixoto. 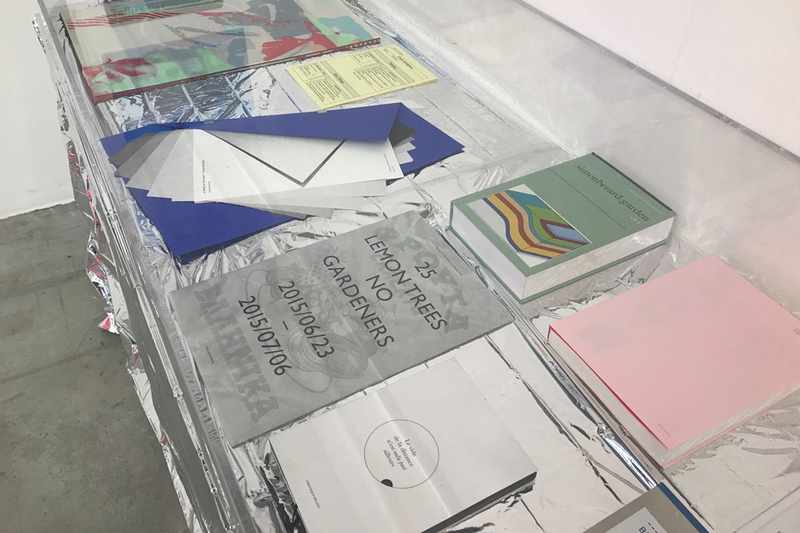 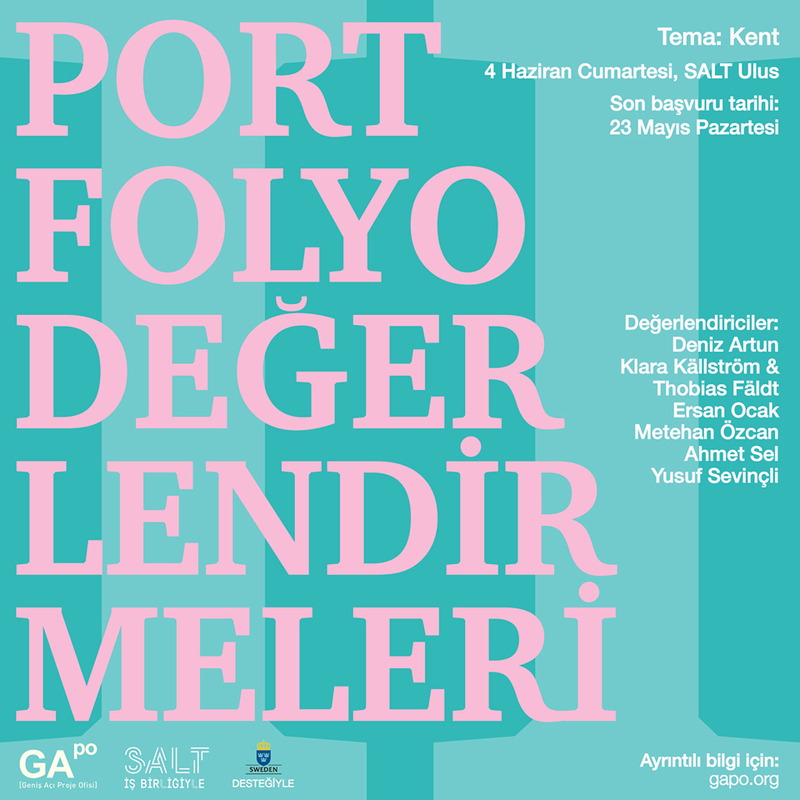 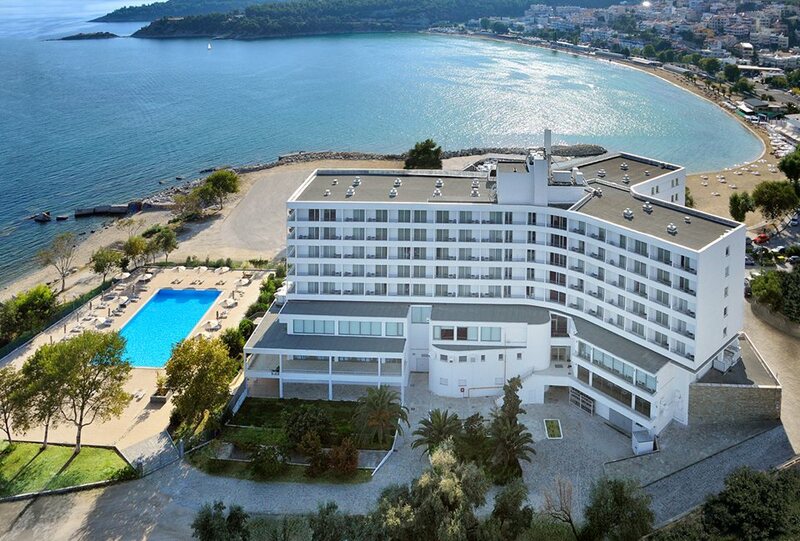 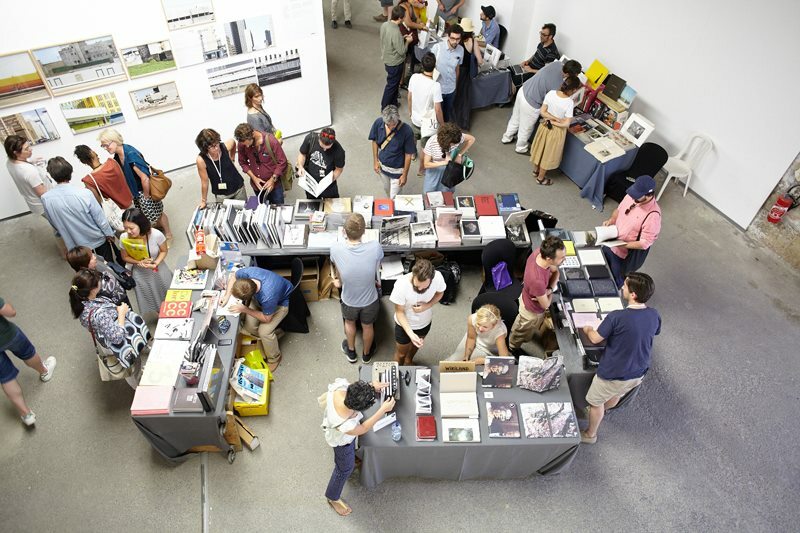 Källström and Fäldt will be among the reviewers of the Portfolio Reviews II on June 4 at SALT Ulus, organized in collaboration between SALT and Geniş Açı Project Office (GAPO). 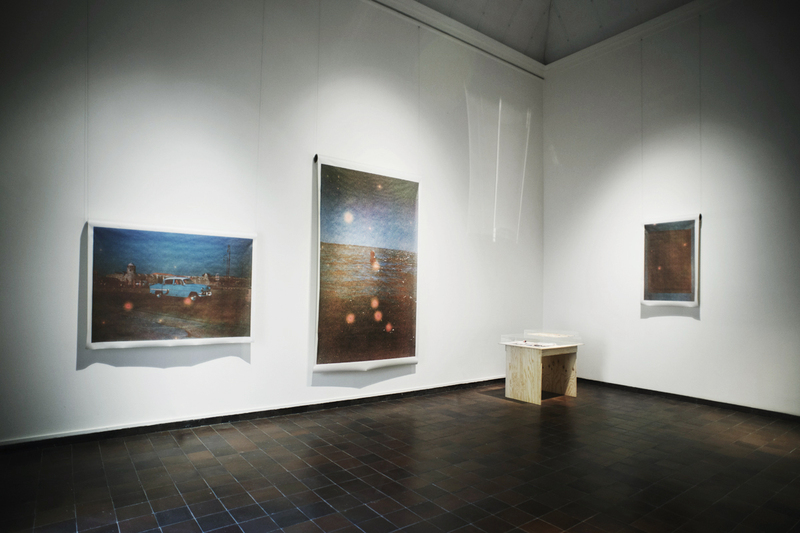 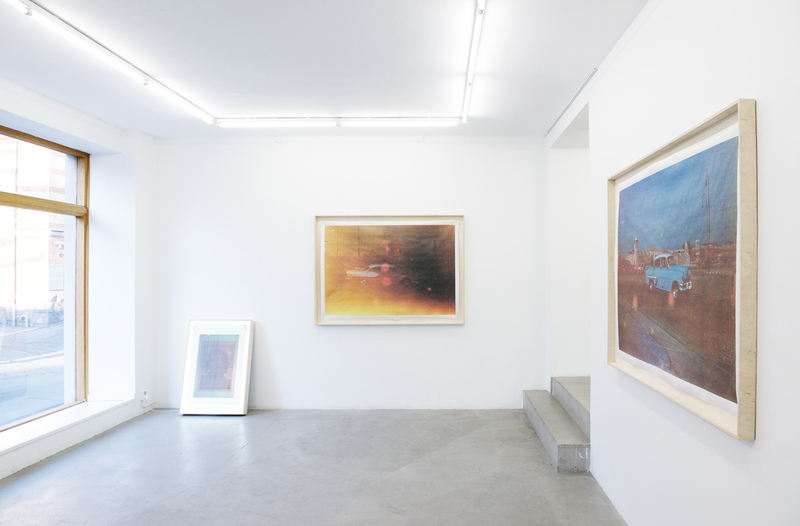 The Last of the Lucky at Cecilia Hillström Gallery. 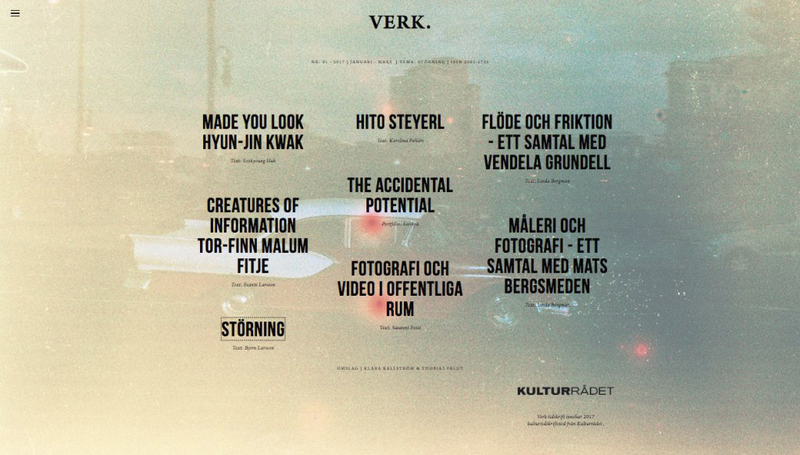 May 19 – June 11. 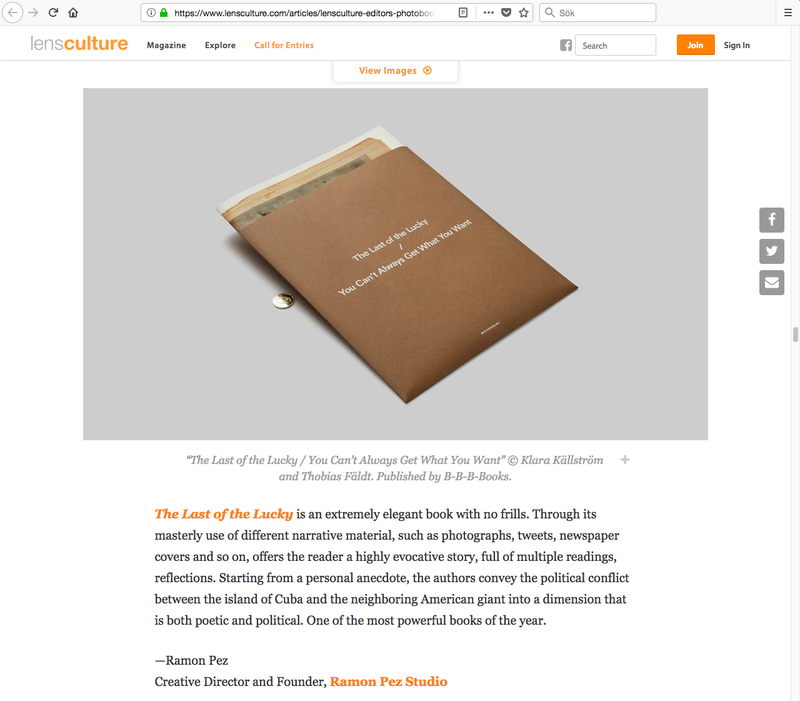 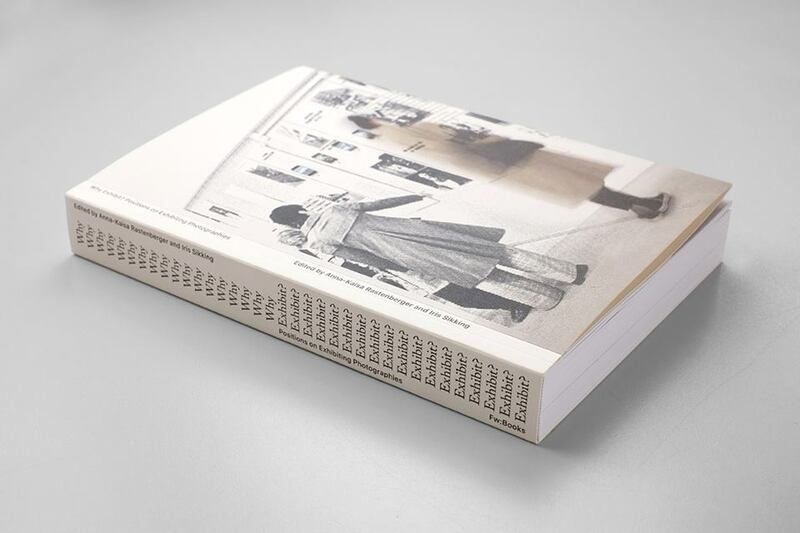 With contributions by: Klara Källström & Thobias Fäldt, Paul Graham, Yann Mingard, Max Pinckers, John Tagg, Duncan Forbes, The Photocaptionist, Aneta Grzeszykowska, Discipula, Adam Mazur, Annekathrin Kohout, Iris Sikking, Werker Magazine, Sputnik Photos and #Dysturb. 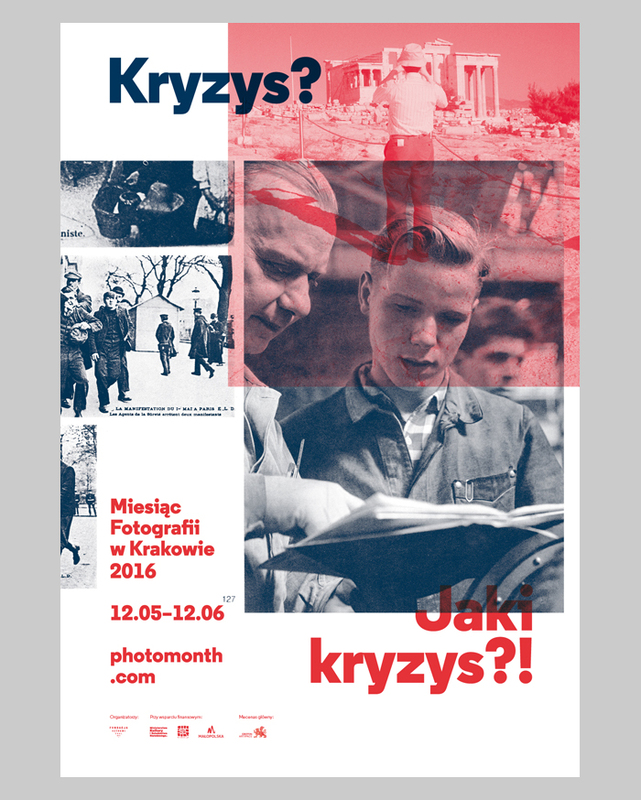 Klara and Thobias at Krakow Photomonth 2016. 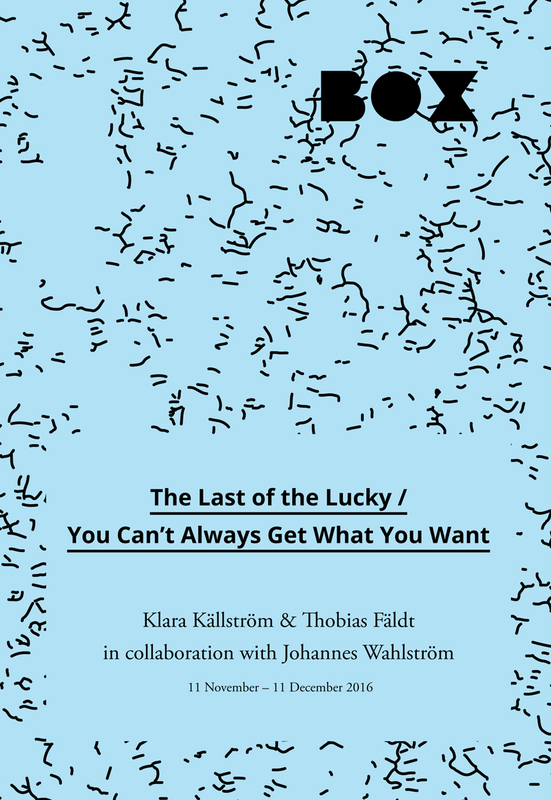 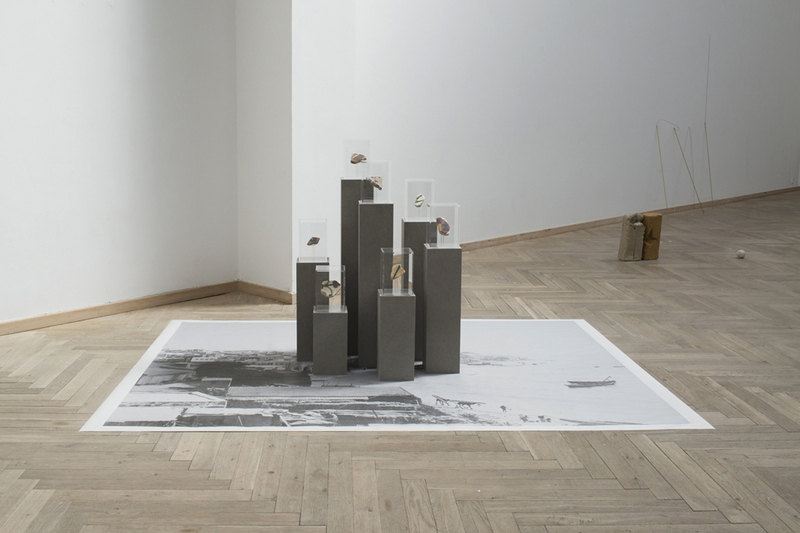 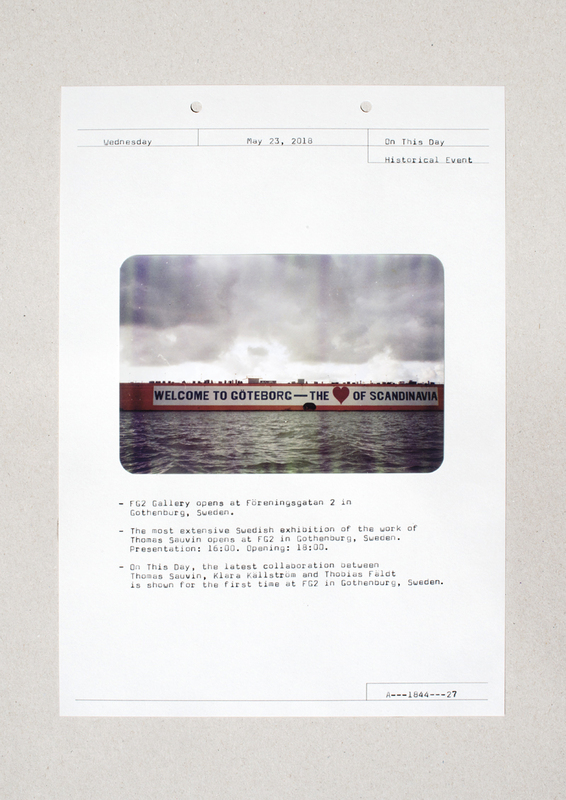 New series, The Last of the Lucky, Göteborgs Konsthall, April 30 – May 22. 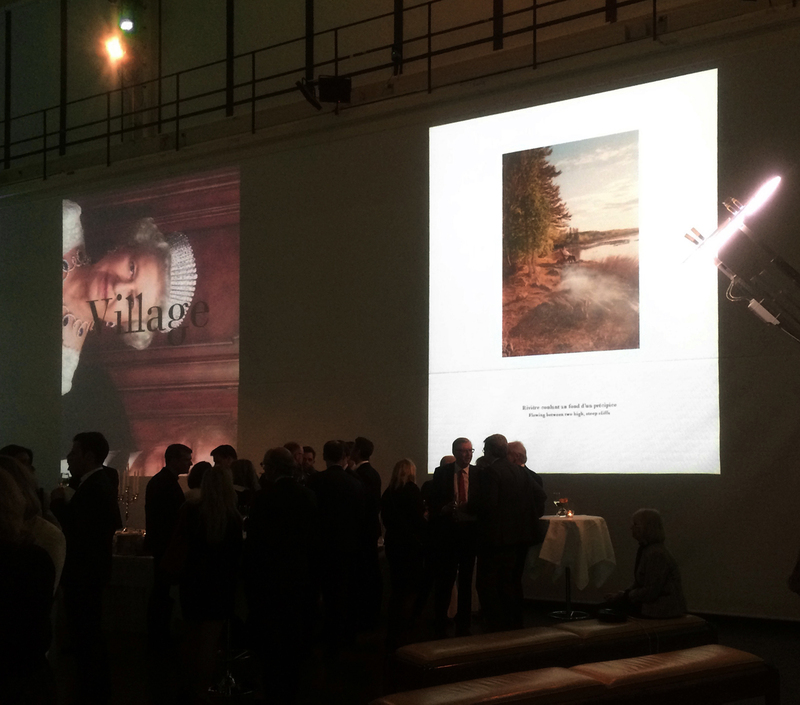 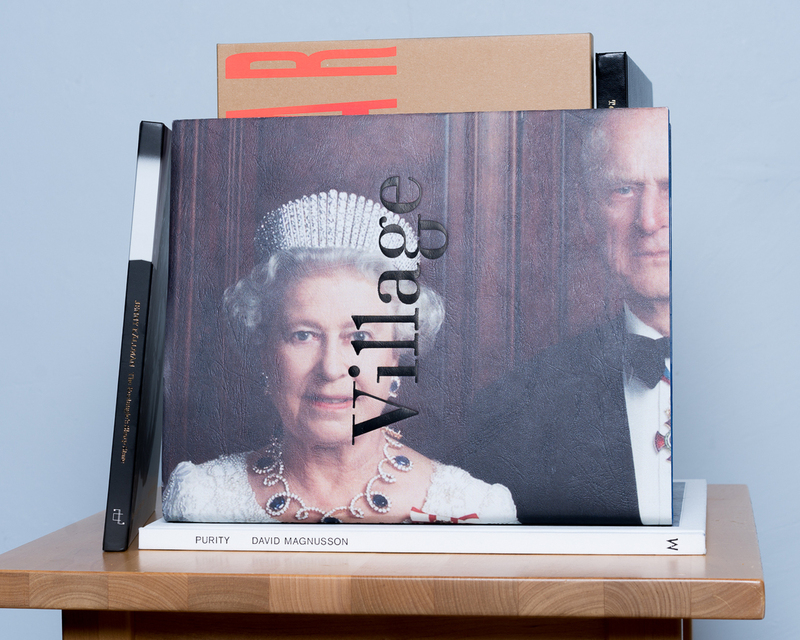 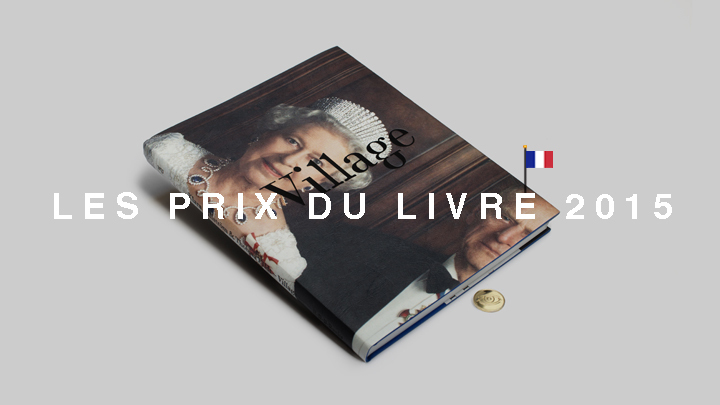 Village is shortlisted for Arles Book Award 2017. 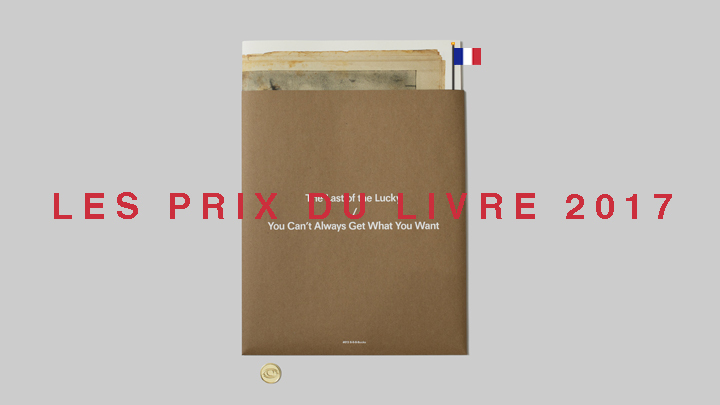 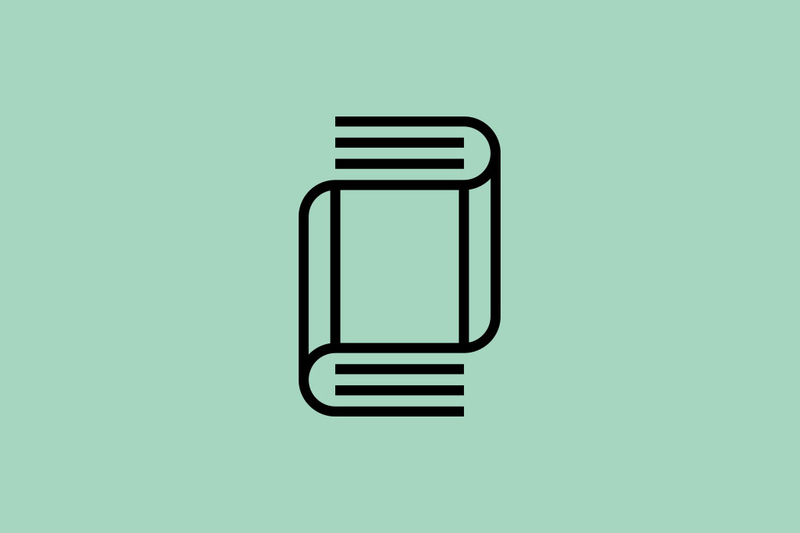 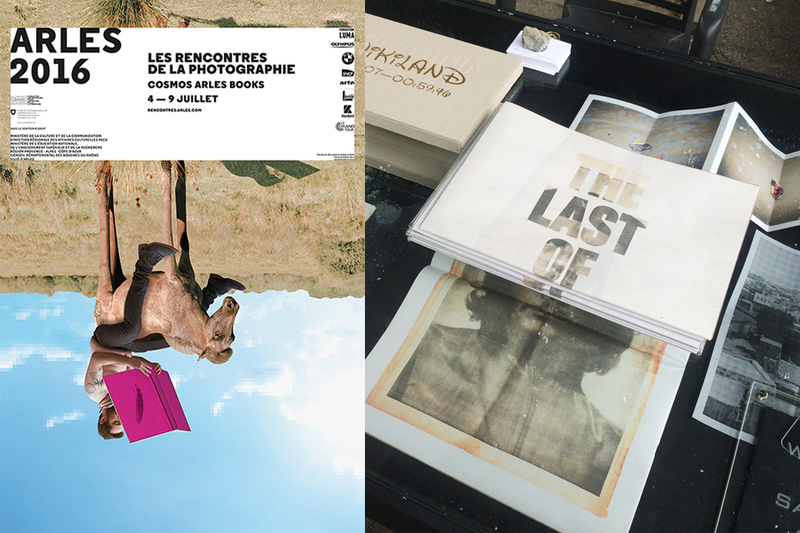 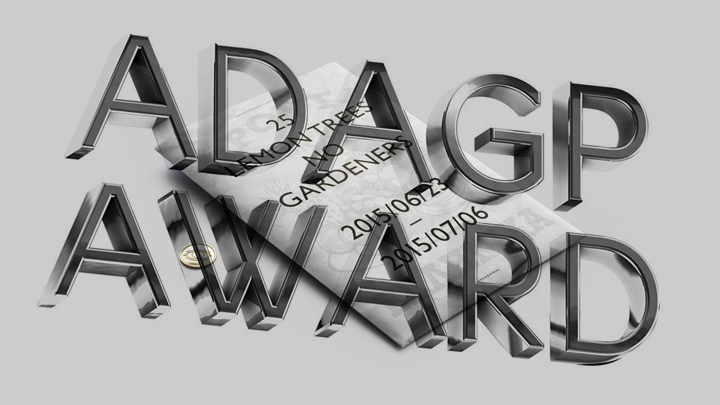 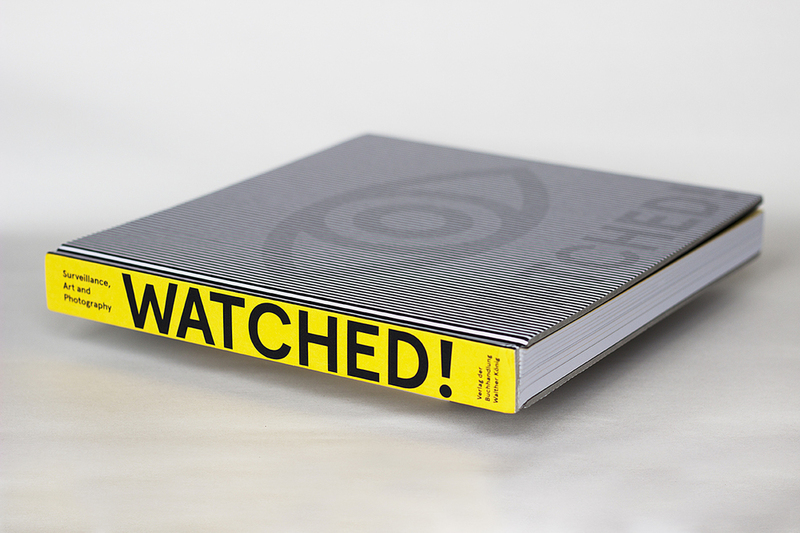 Curated by Olivier Cablat & Sebastian Hau.